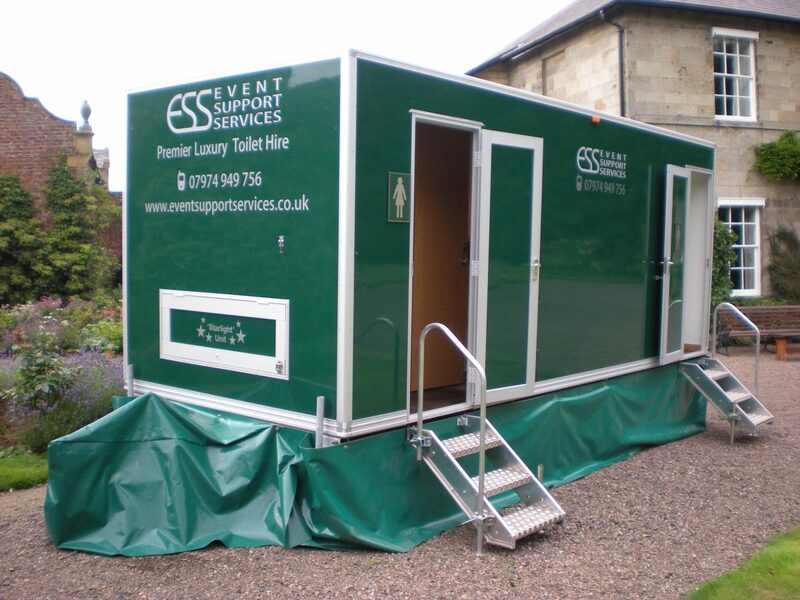 Please click on a button below to find out more about our event support equipment. 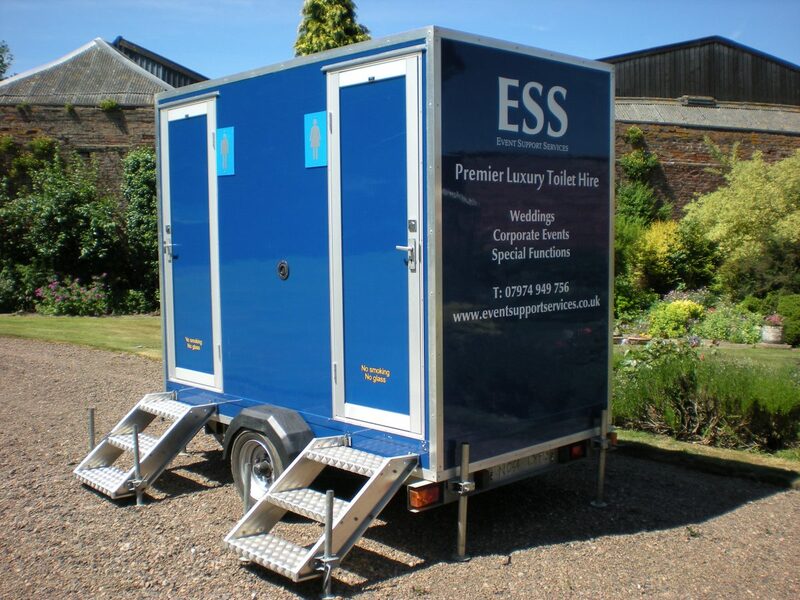 Currently stocking four different models of luxury toilet, we have something to suit every event and budget; ranging from the small Standard Luxury 1+1, to the top of the range Starlight 3+1. 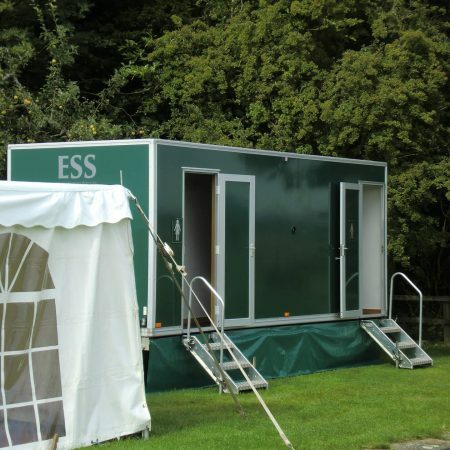 Here at Event Support Services all our luxurious units have been designed and built to our exact specifications, so your event is assured a quality service at a great price. 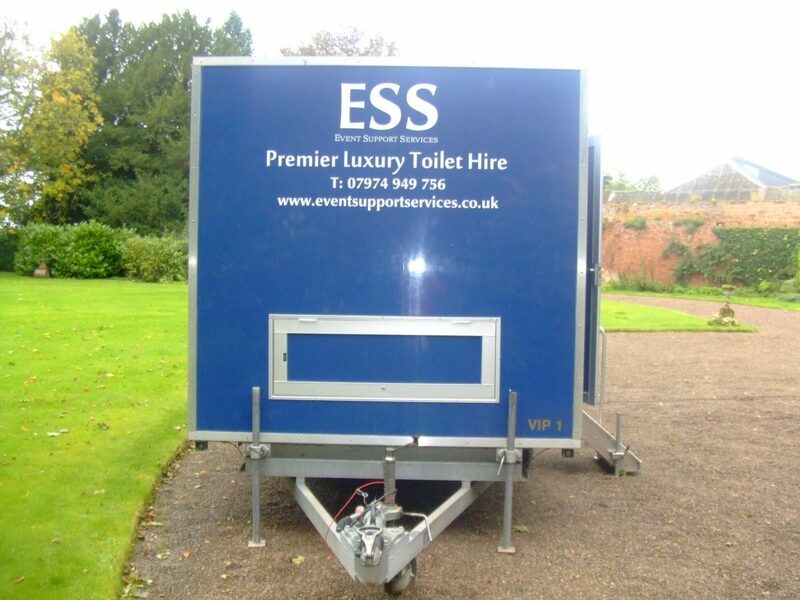 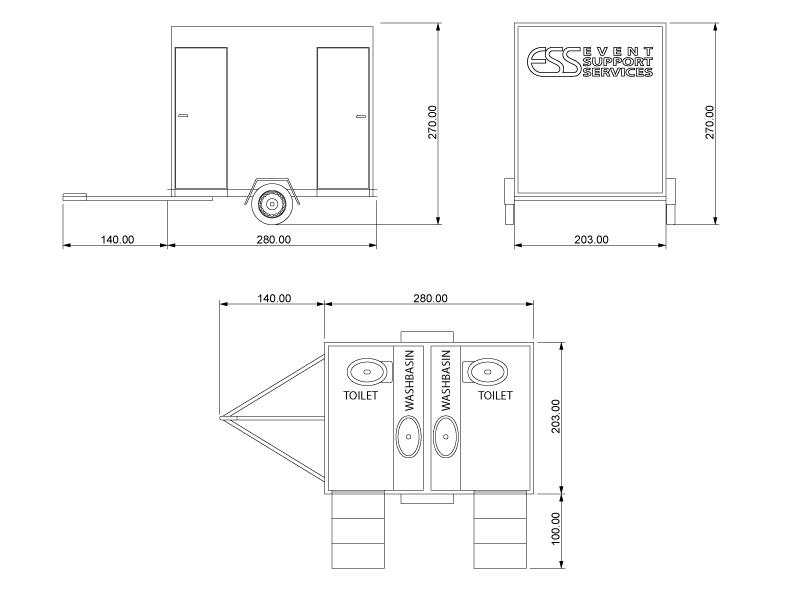 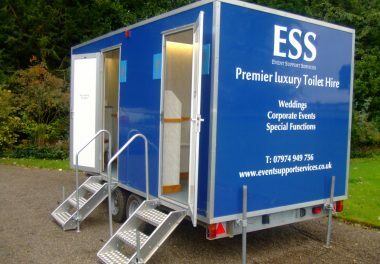 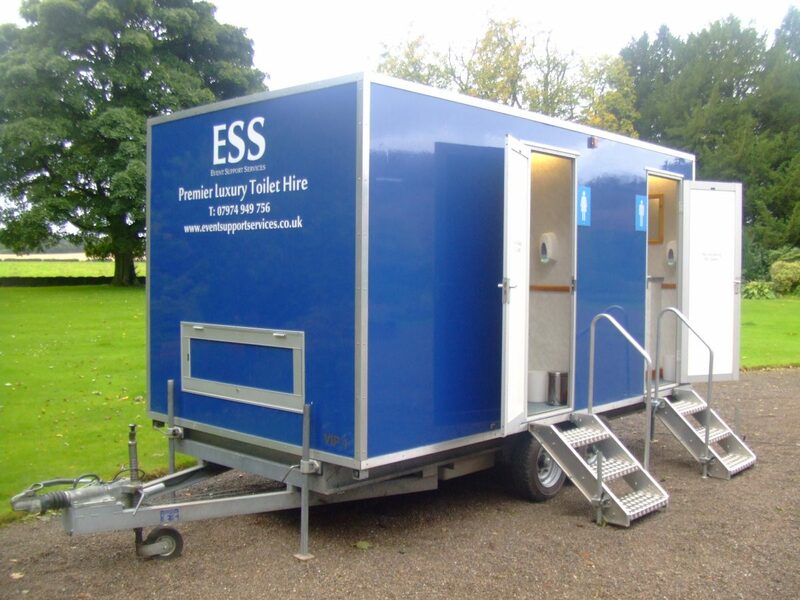 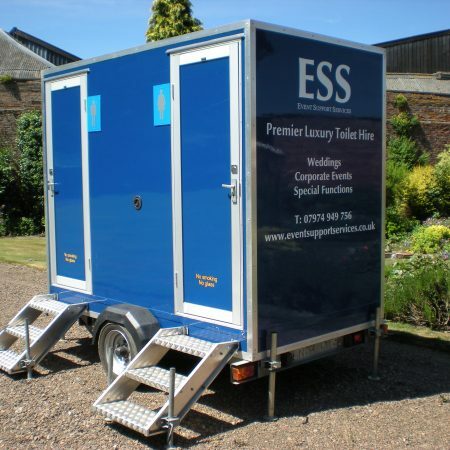 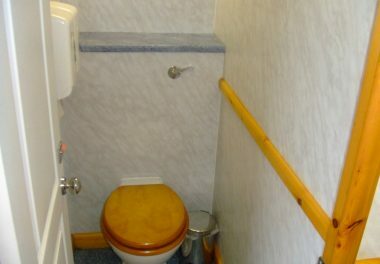 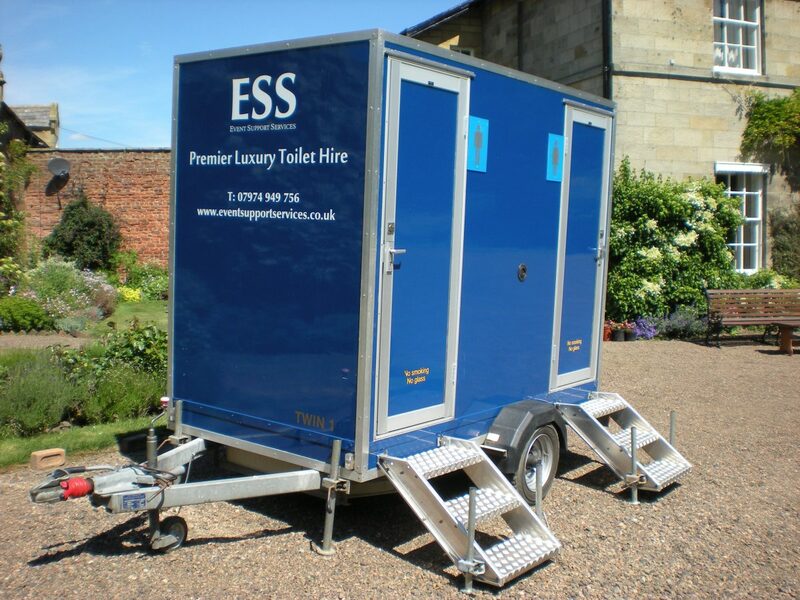 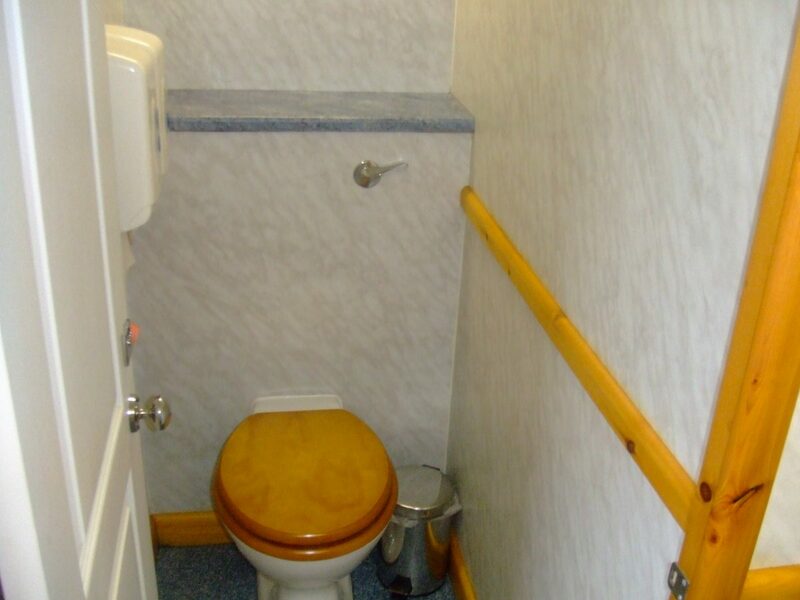 Our luxury toilet trailers couldn’t be easier or quicker to set up, requiring only a power supply and level standing. 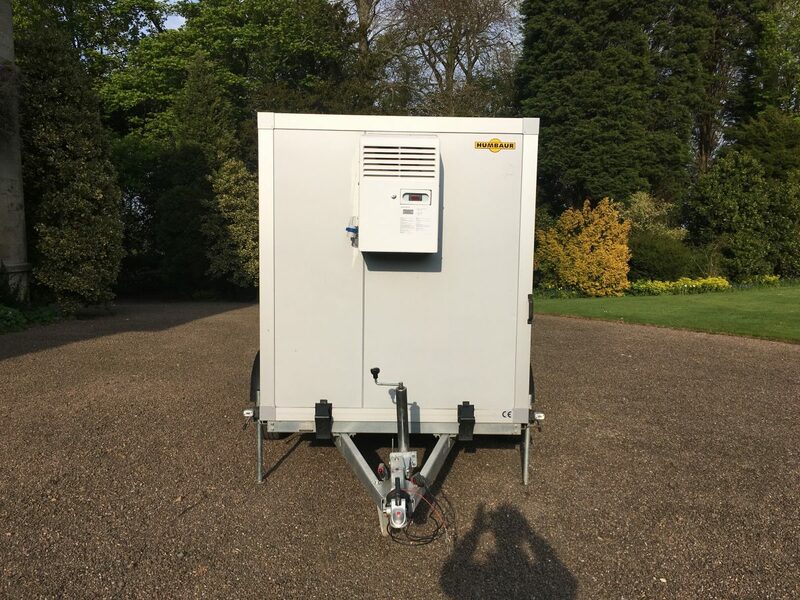 The power supply can of course be provided via a 16 Amp blue fitting, as supplied by marquee companies or event electricians. 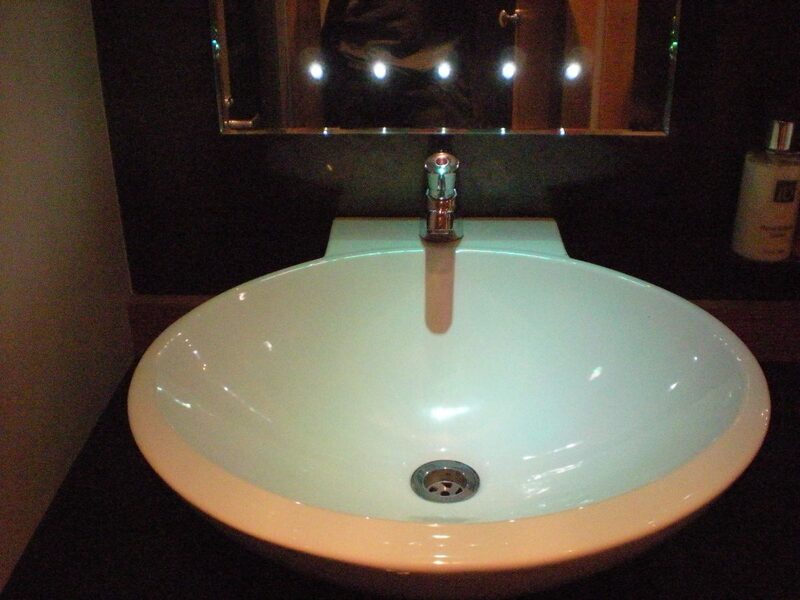 If necessary, we can also adapt to a household 13 Amp supply. 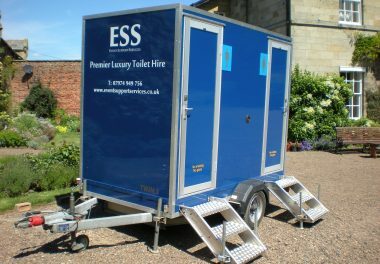 Though we normally recommend a trailer is sited within 25 metres of a power supply, this can be extend further where necessary. 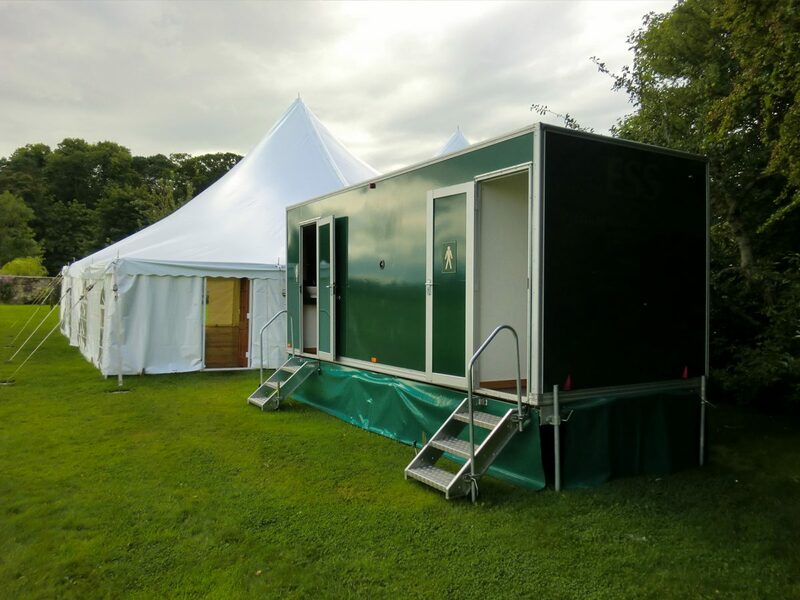 The Luxury 4+1 (4 door) unit allows event organisers to cater for events where numbers are up to 350 people and particularly where numbers of female guests are high. 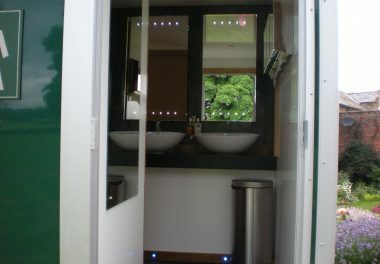 The four door configuration gives organisers much more flexibility in terms if site layout. 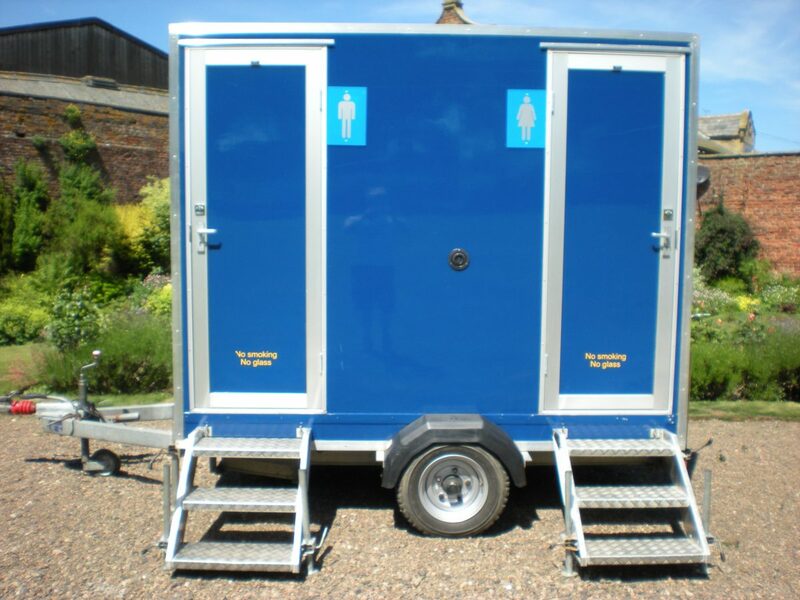 Steps can be attached to either side of the the trailer allowing easier positioning of the trailer to suit your requirements. 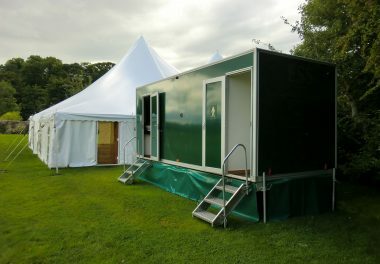 The Starlight Unit is our top spec unit and has several extra special features for your extra special event. 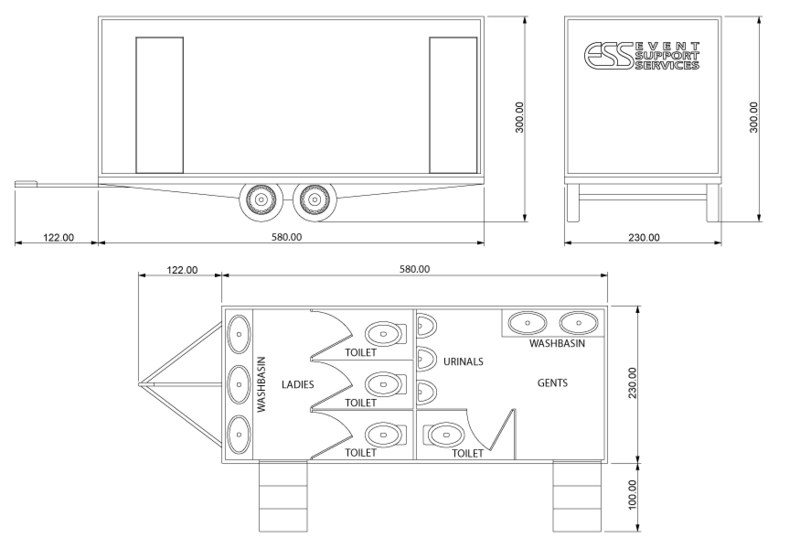 The chassis is slightly longer giving the ladies more space. 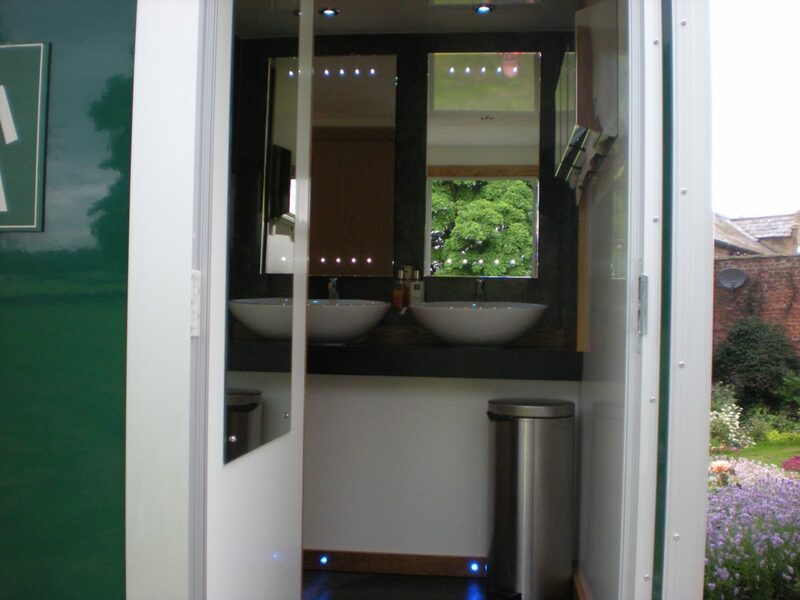 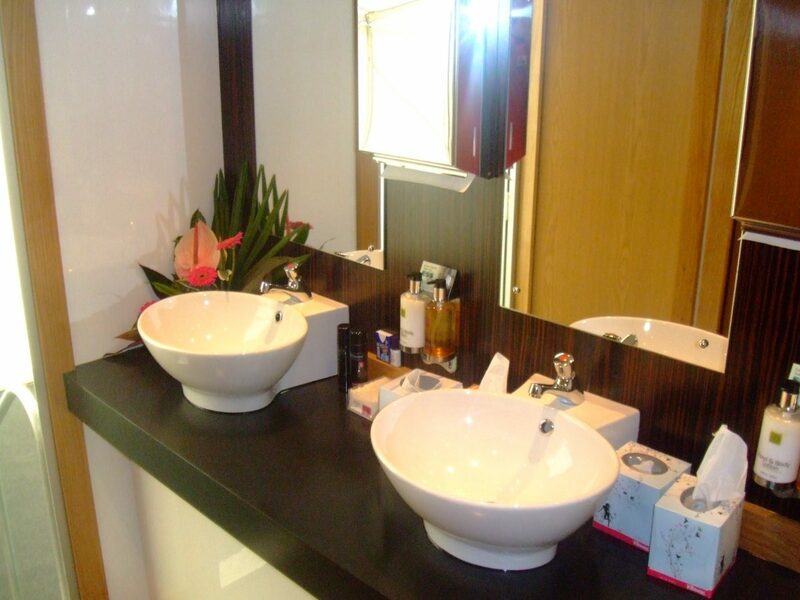 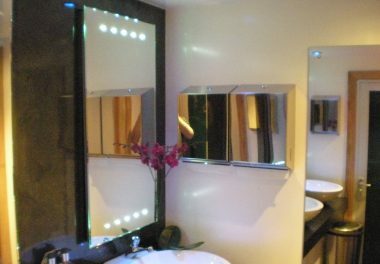 The unit is fitted throughout with upgraded ‘HIB’ LED mirrors. 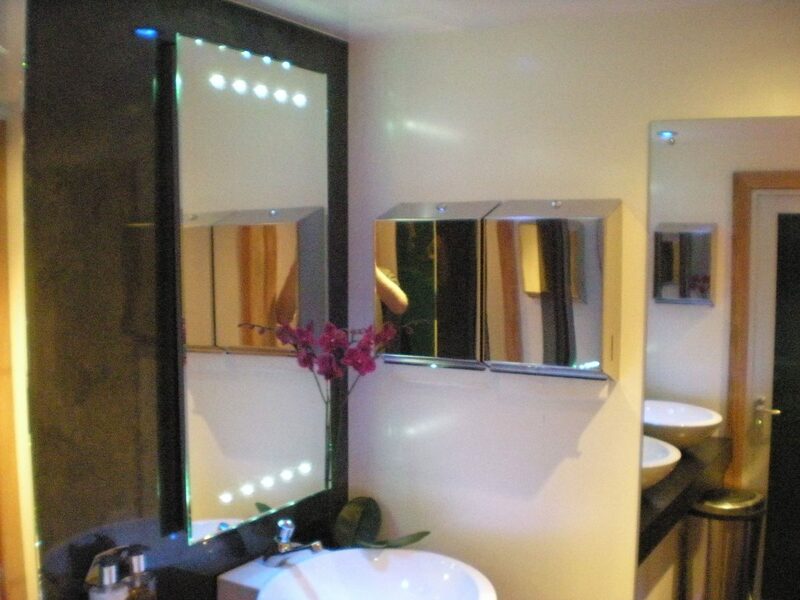 These have 10 discreet LEDs inset in the mirror surface. 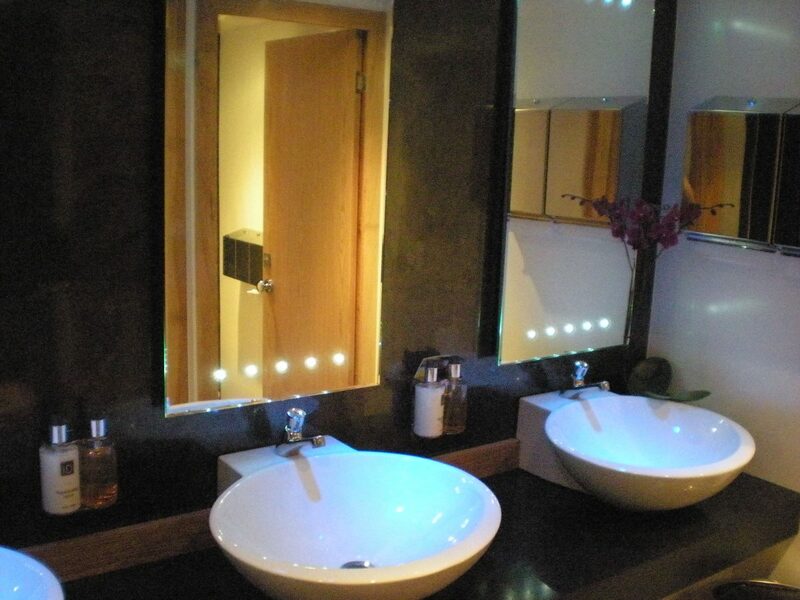 The worktops are made of Corian ‘Night Sky’ design and the panels are ‘Magnetite’, a marble-effect design. 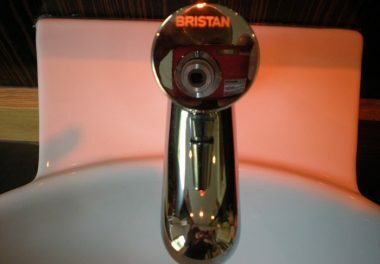 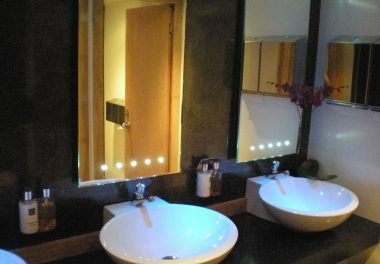 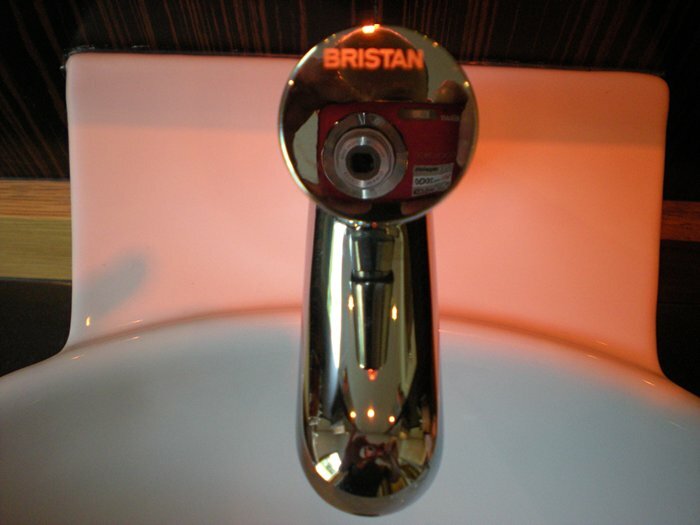 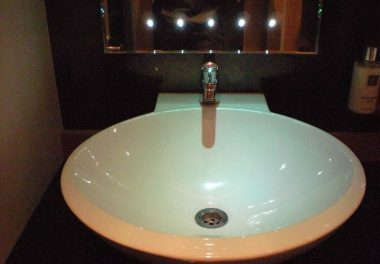 Shining down on the upgraded basins are colour-change halogen lights, which slowly change through amber, green, blue, and red colours. 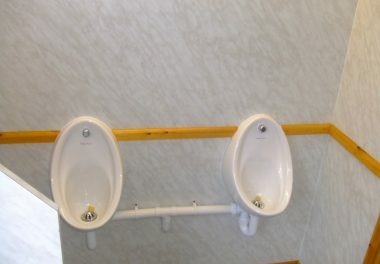 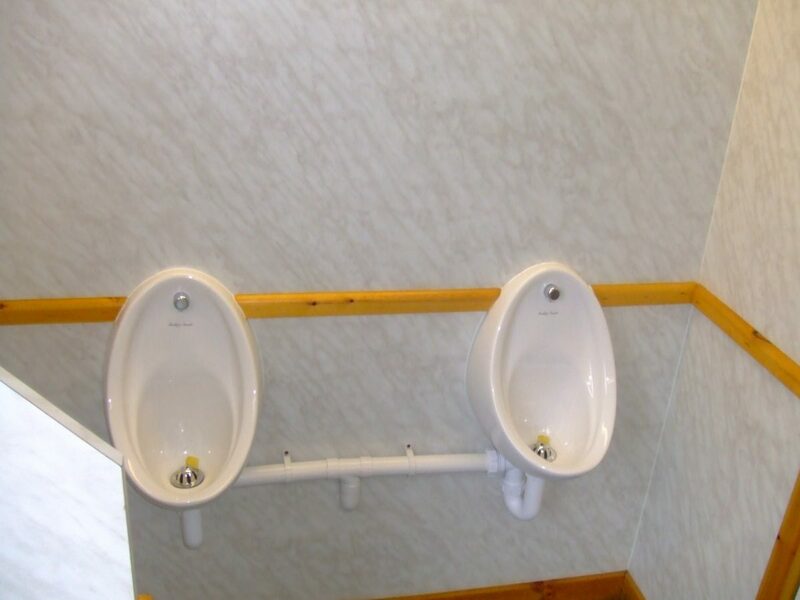 Between the urinals in the Gents there is a matching Armitage Shanks privacy partition. 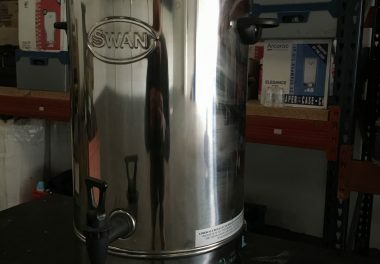 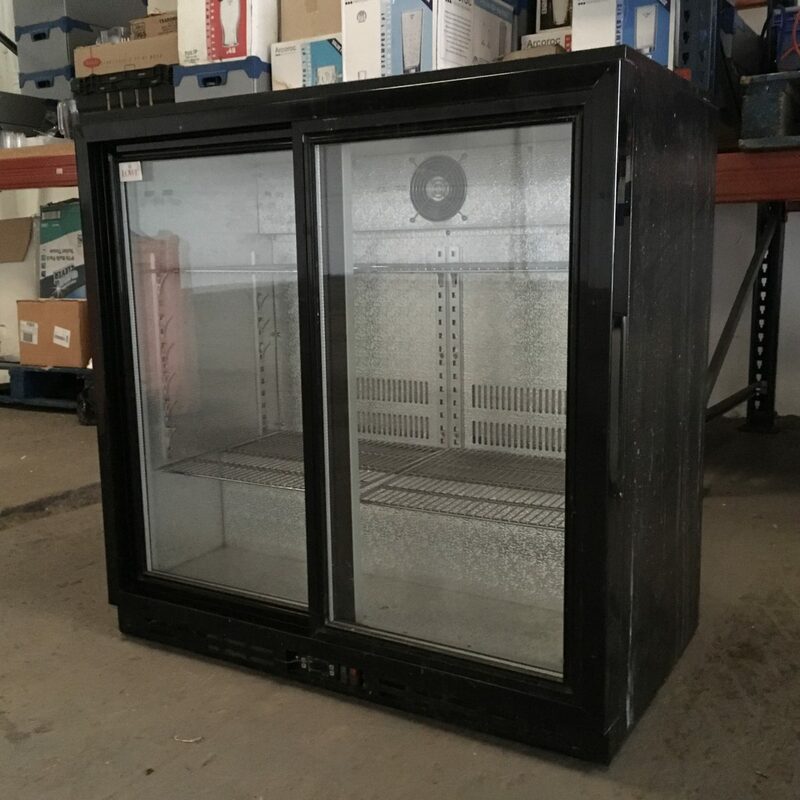 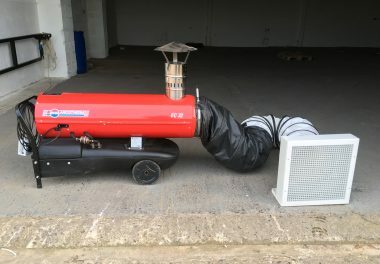 This unit and it’s features were uniquely chosen by us and you will not find any other unit like it in the marketplace. 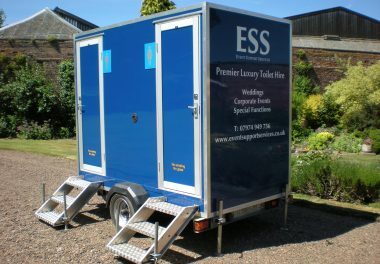 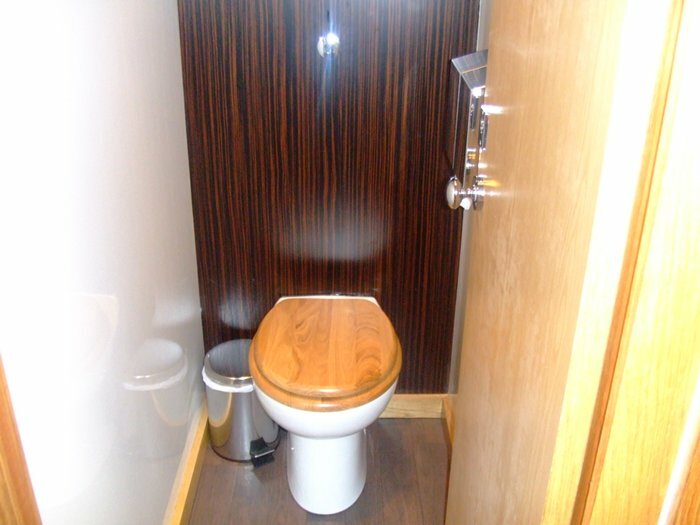 The Luxury Oak Style unit is a top quality modern luxury toilet unit popular at weddings, corporate events, VIP areas etc. 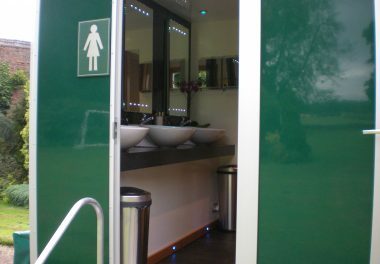 It’s features include green exterior, light bright interior, raised basins, oak finished doors and skirting boards, push-button flush, stainless steel dispensers, ‘tiger-print’ panelling, hot running water, non-slip aluminium steps, chrome taps, luxury soap and hand lotion, wood effect flooring, piped music via CD player, colour-coded skirting covering wheels, towing frame etc. 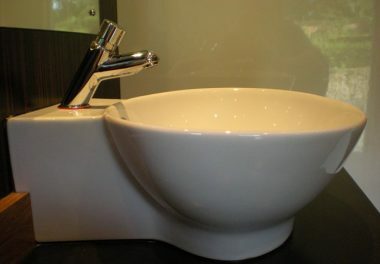 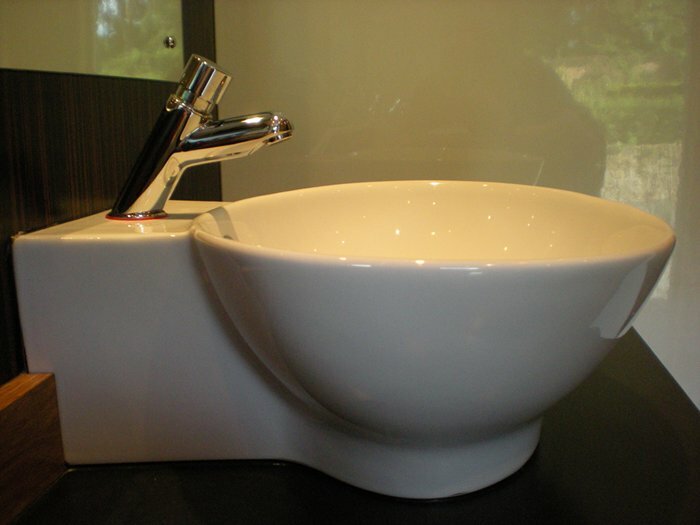 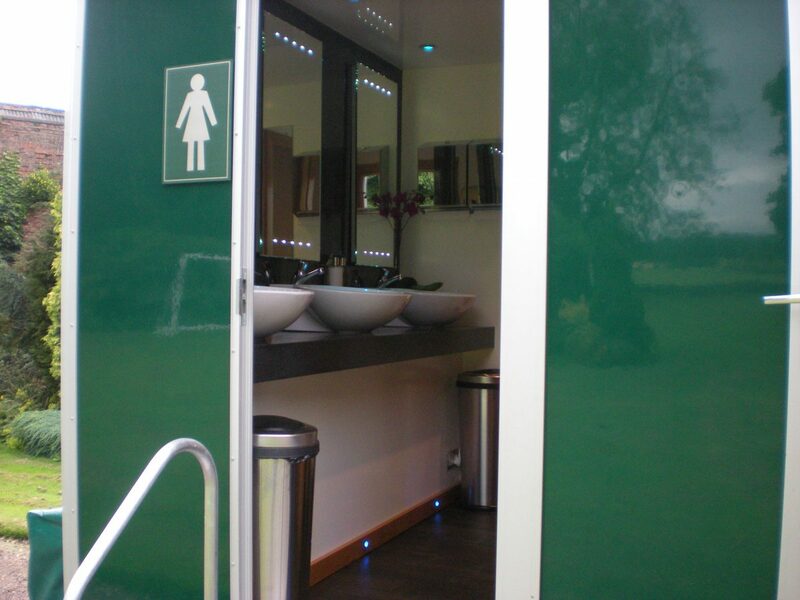 This style of unit delivers a clean, modern, functional luxury facility to a wide range of applications. 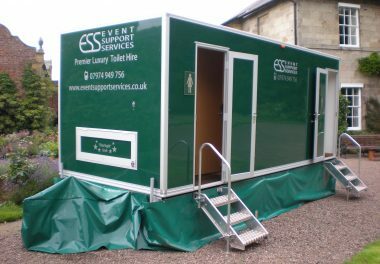 It has covered everything from marquee weddings to outdoor concerts to a 6 week stay providing businesses with extra temporary facilities. 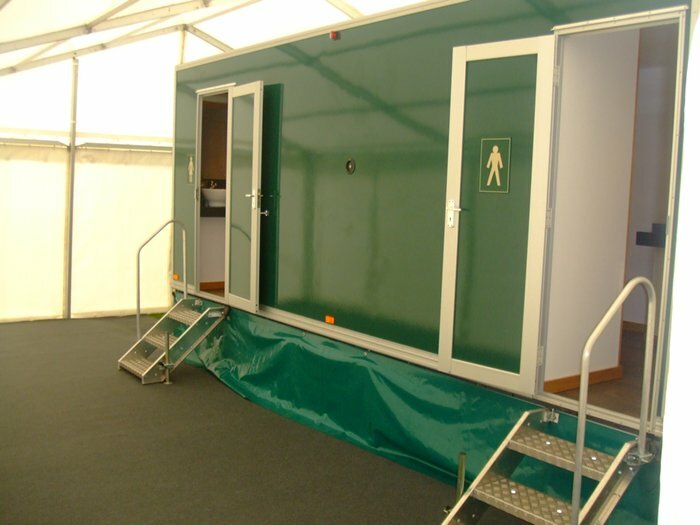 It features non-slip vinyl flooring, white doors, white plastic dispensers, piped music, and very spacious work-tops. 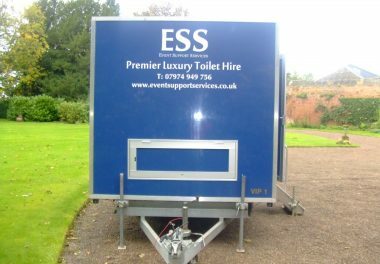 The Standard Luxury 1+1 unit is ideal for smaller functions of up to 100 people or where there is narrow access. 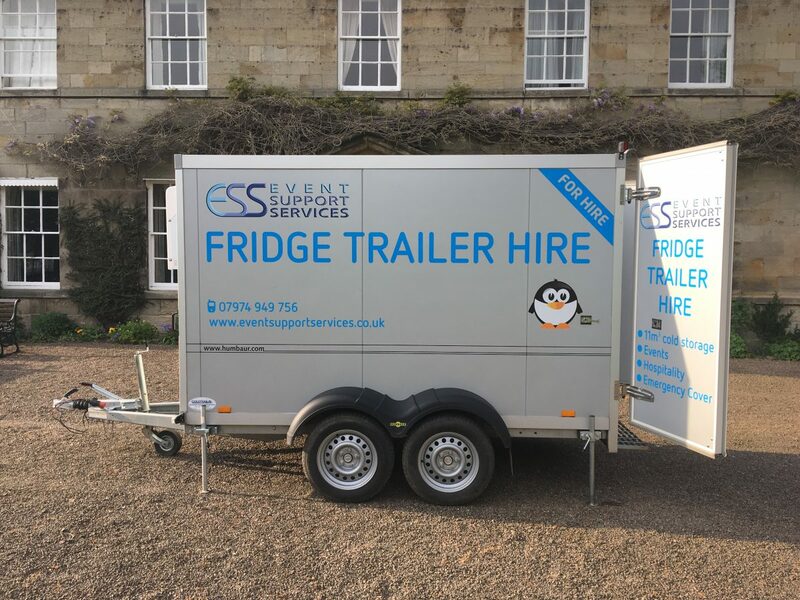 The trailers are just 2.03m wide and can be easily pushed on level ground by 2-3 adults. 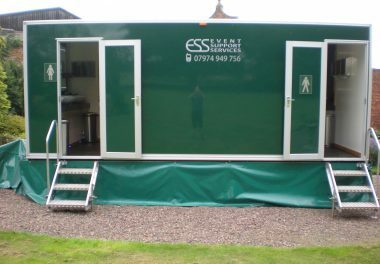 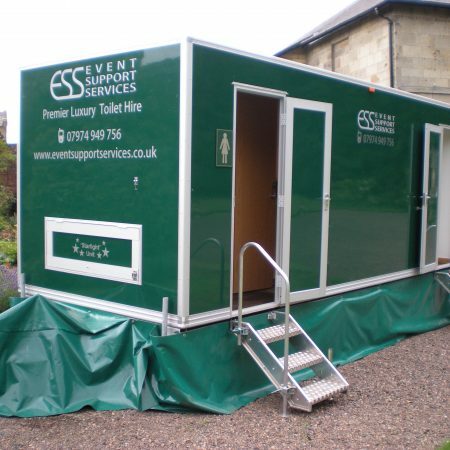 For larger events where access is difficult two of these trailers can be hired in place of one large one. 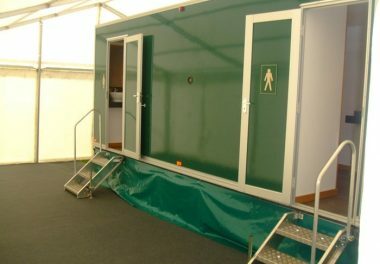 These units feature 2 identical spacious self-contained cubicles and can be configured as male/female, all female, all male etc depending on the event in question. 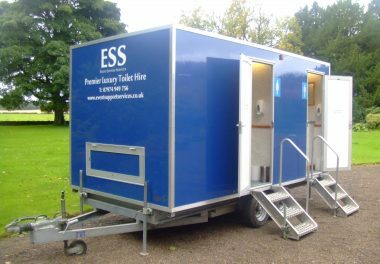 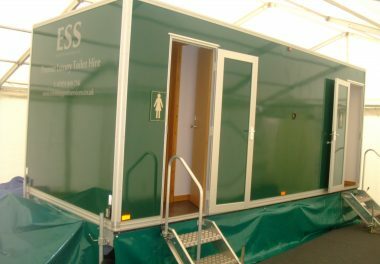 Sometimes where budgets are tight customers add one of these small units to their own house facilities or some plastic cubicles to achieve the correct provision for the event. 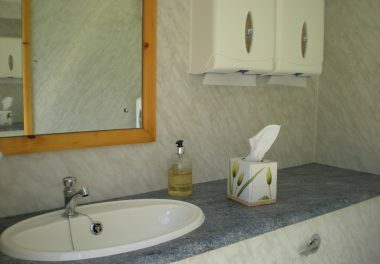 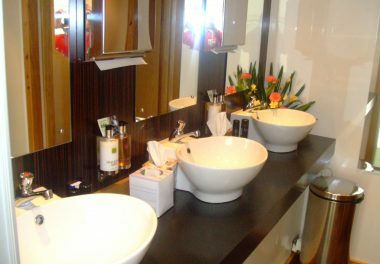 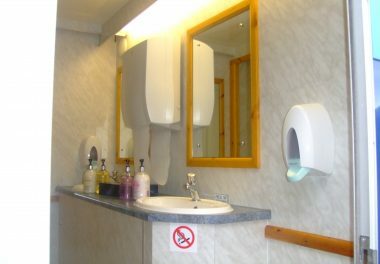 Features: 2 x self contained cubicles with own non-slip flooring, aluminium steps, basin, full-length mirror, electric heater, soap and lotion, hand towels, piped music on CD. 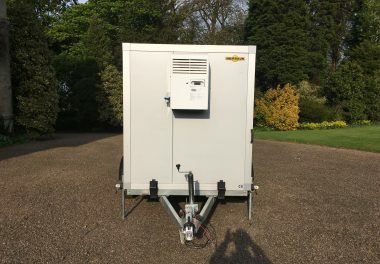 Power requirement: 13/16A domestic or 4 KVa generator. 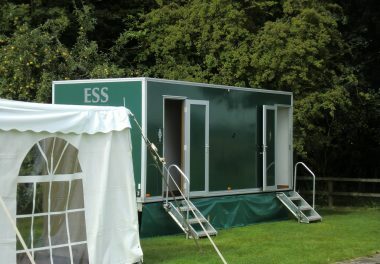 Capacity: up to 100 users for 8 hours. 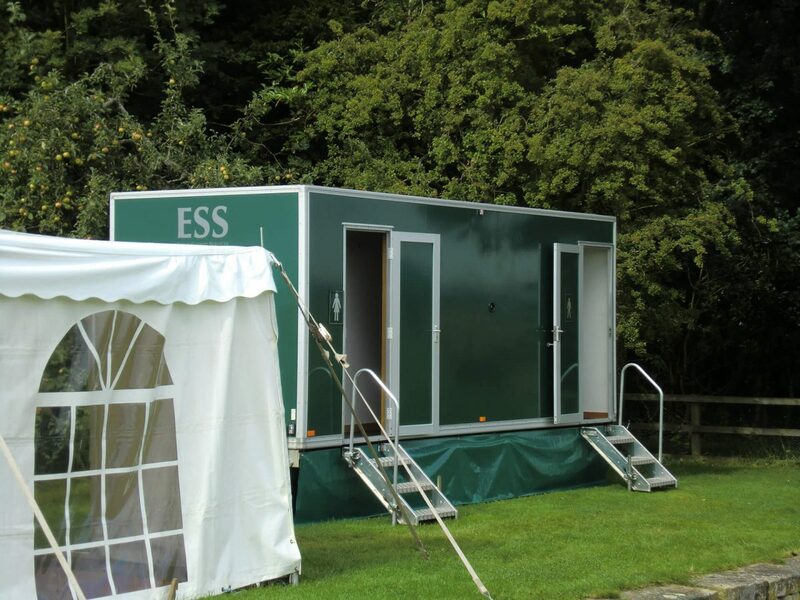 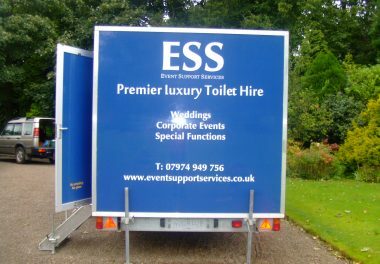 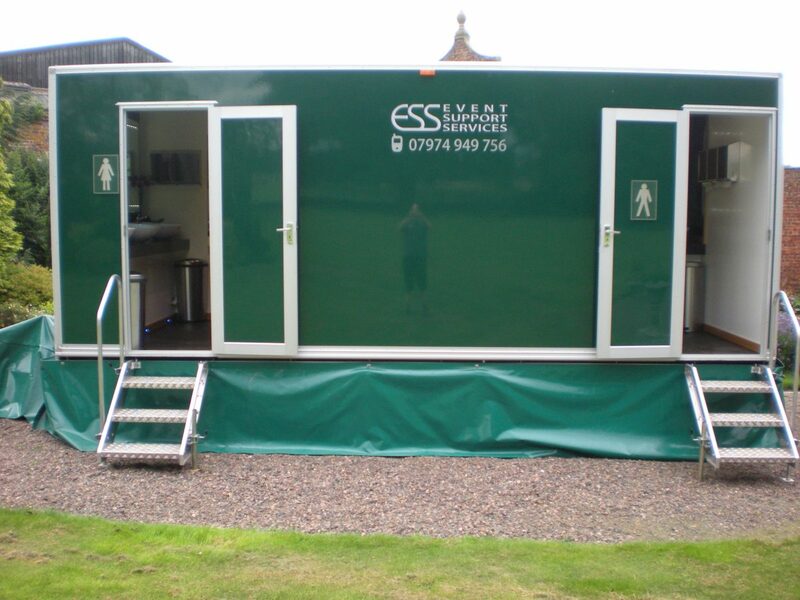 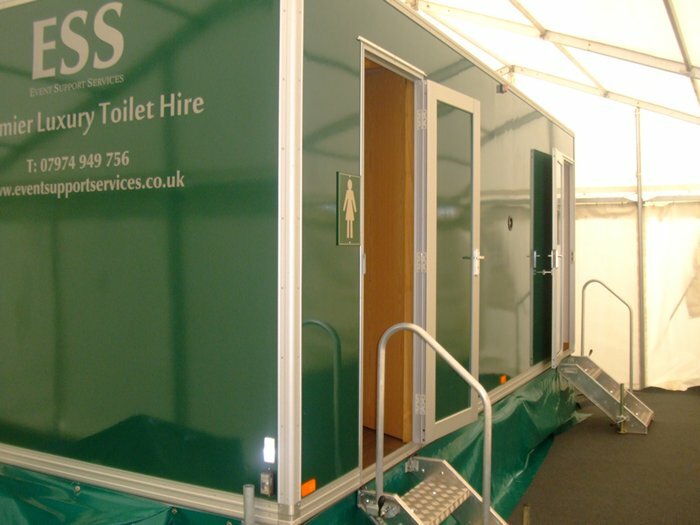 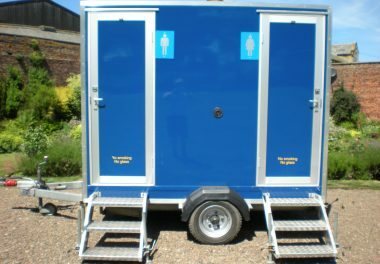 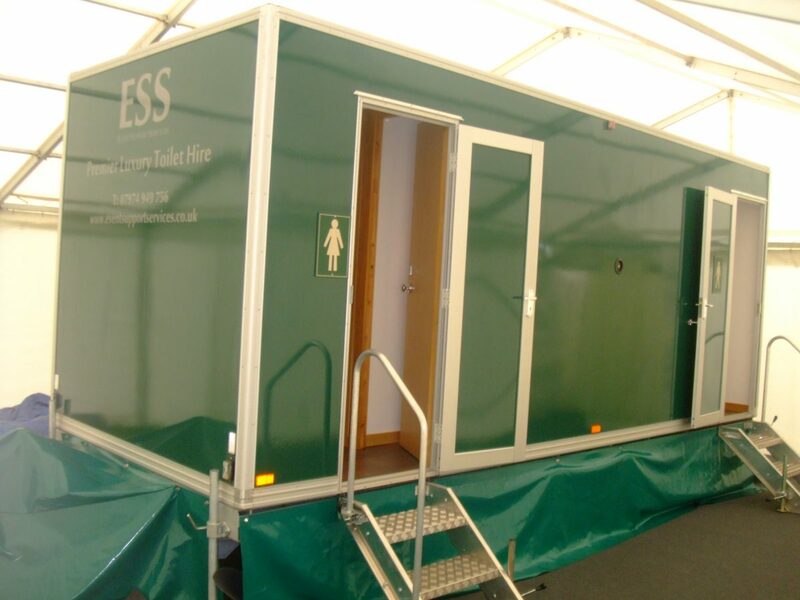 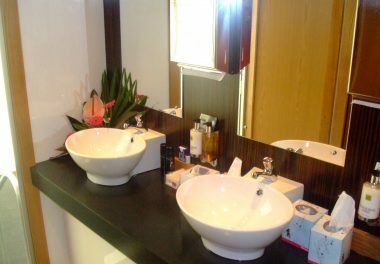 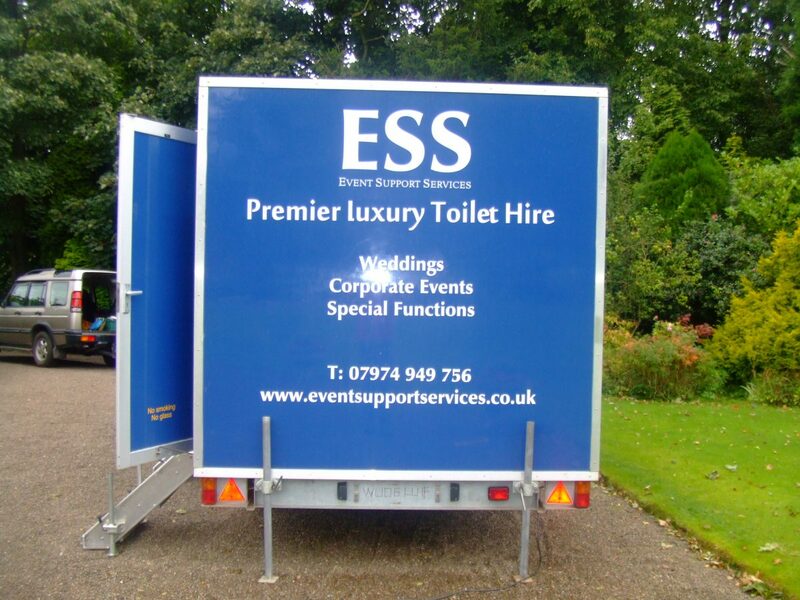 Events requesting attendant service with their luxury toilets will have one of our trained staff within the unit throughout the event, to prevent it becoming messy, and restock disposables. Please contact us for pricing. 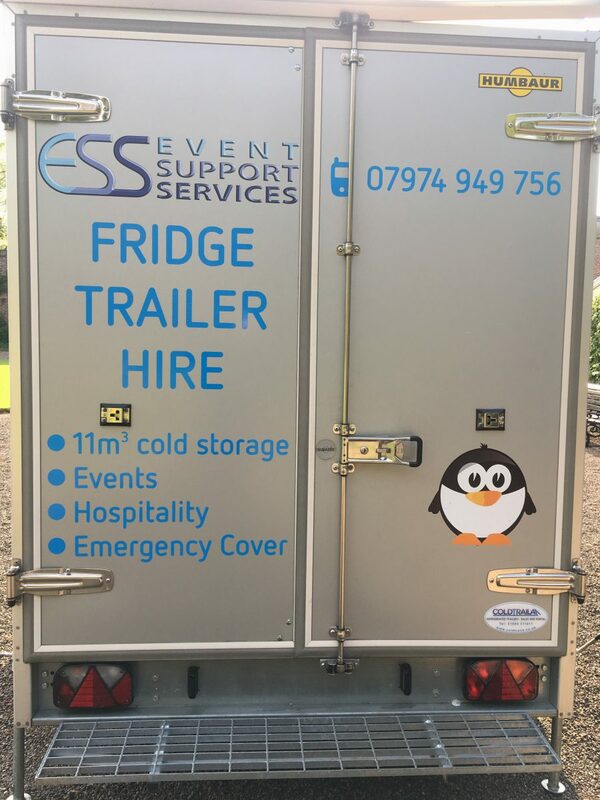 Hiring one of our refrigerated trailers means you no longer need to worry about keeping all your wine, beer and food at the right temperature throughout the event. 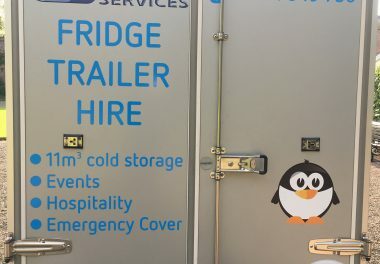 They’re easily plugged in, making them much more convenient and cost effective than hiring several stand-up fridges. 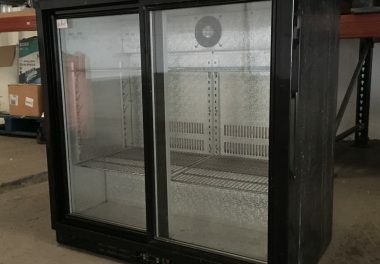 This refrigeration facility has boundless possibilities for potential users, such as butchers, farm shops, restaurants and factories. 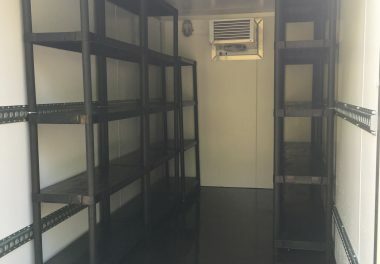 We can also provide refrigeration units to cover emergencies, such as facility breakdown, power loss or larger than anticipated capacity. 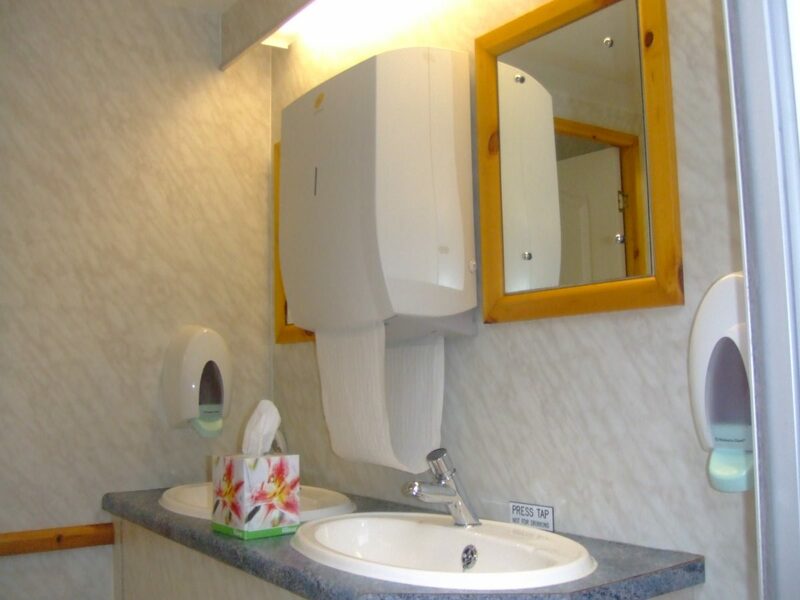 All units feature electronically programmed defrosting and fully automatic thermostatic control. 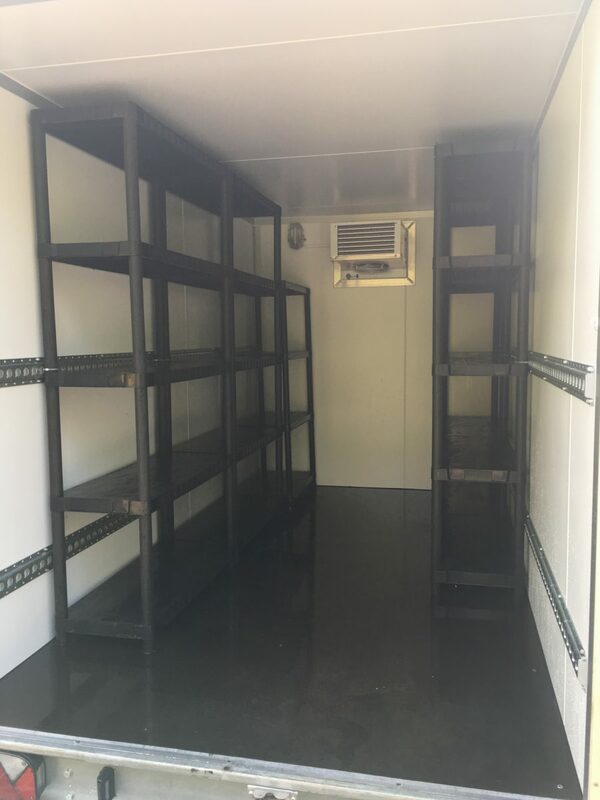 The unit has five tiers of floor to ceiling shelving on both sides, which can be fully adjusted, or fully removed should you require a clear space. 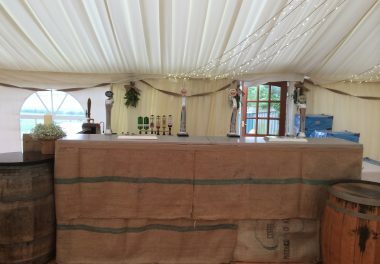 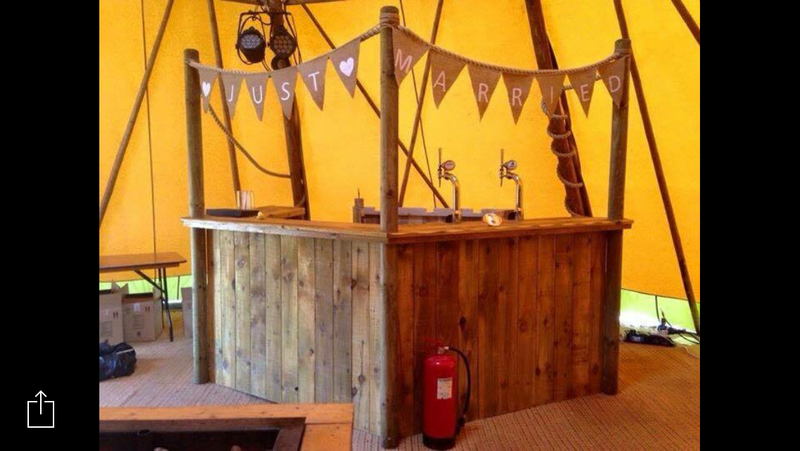 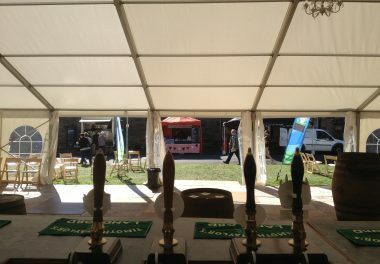 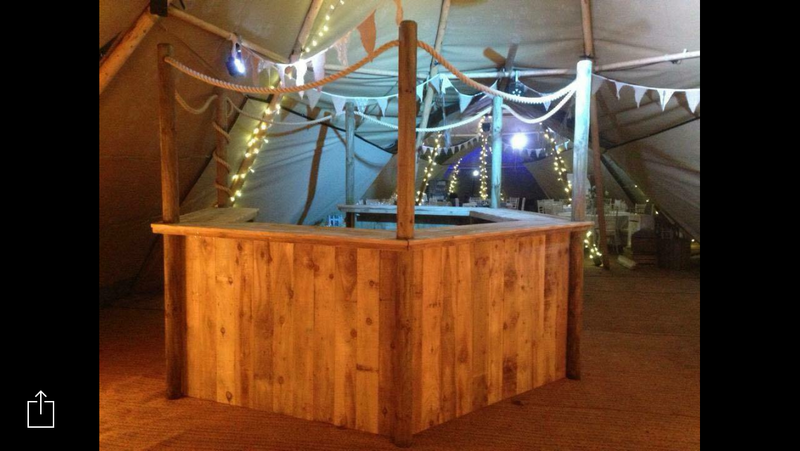 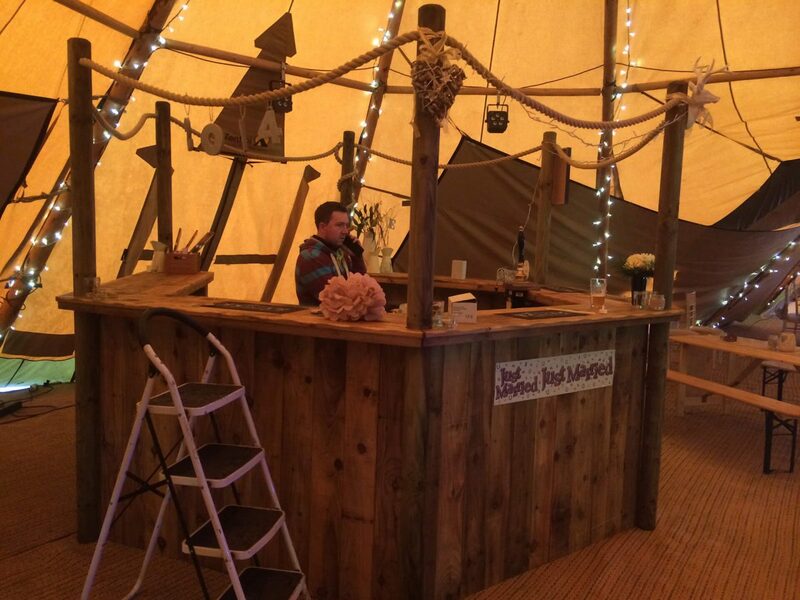 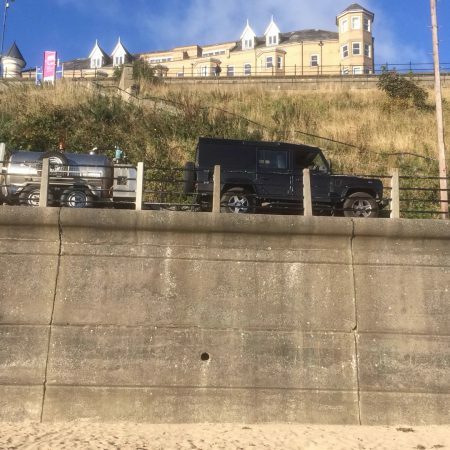 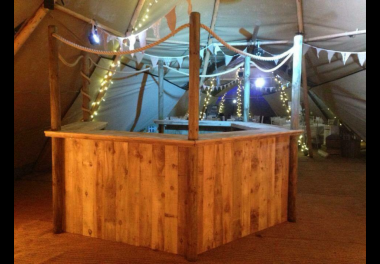 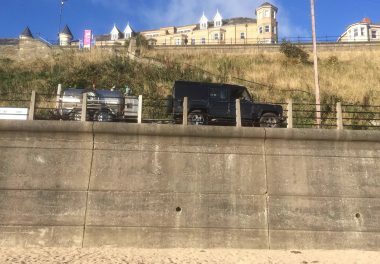 Since becoming owners of ‘The Barrels Ale House’ in Berwick-upon-Tweed in 2011, we’ve been providing outside bar hire to events in Northumberland and Scottish Borders. 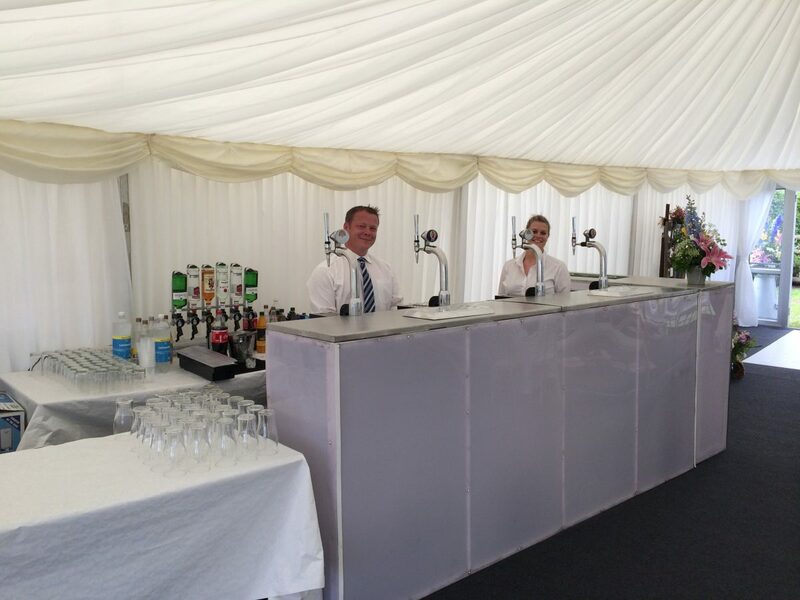 We have our standard 3.5m bar set-up, which is made from stainless steel and chequer plate, but we’re also able to source and supply a range of different sizes, shapes and looks, as well as dressing bars to suit your theme. 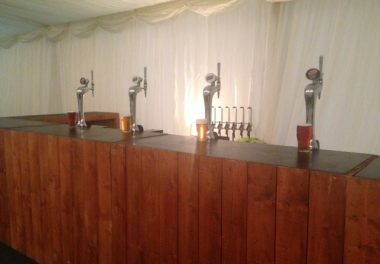 We can provide the draught products which are sold in our pub or are happy to source any other beverages to compliment your event. 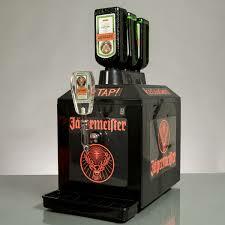 Our Jagermeister tap machine is available to hire and ensures the Jager is served at the perfect 18-degree temperature. 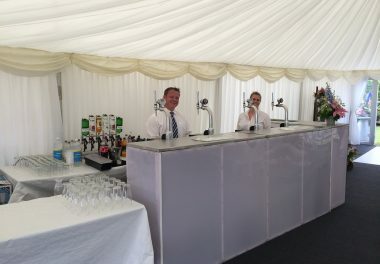 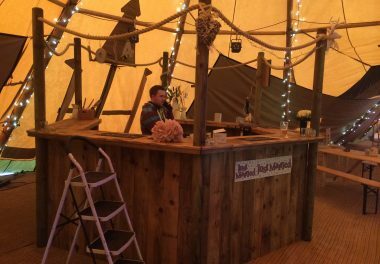 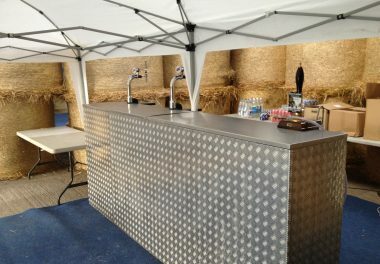 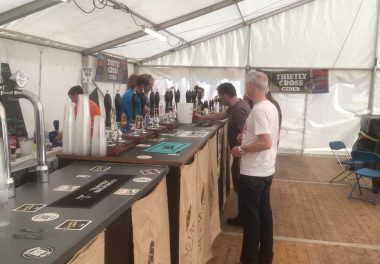 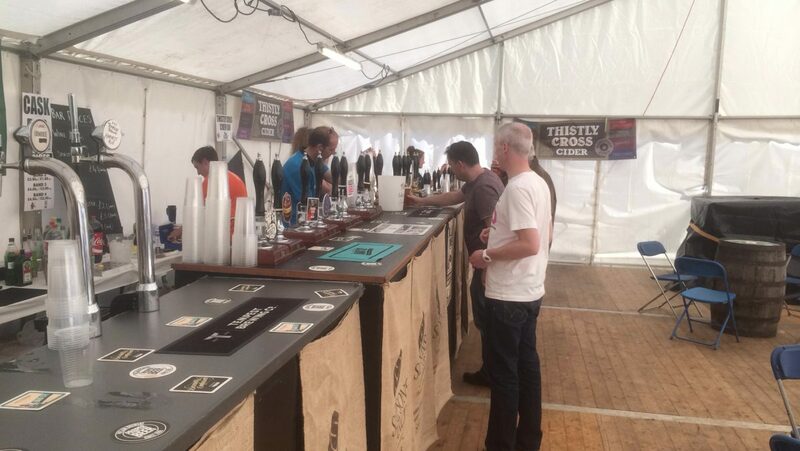 A complimentary set-up and staffing service is included in the hire of our outside bars, based on a minimum retail spend. 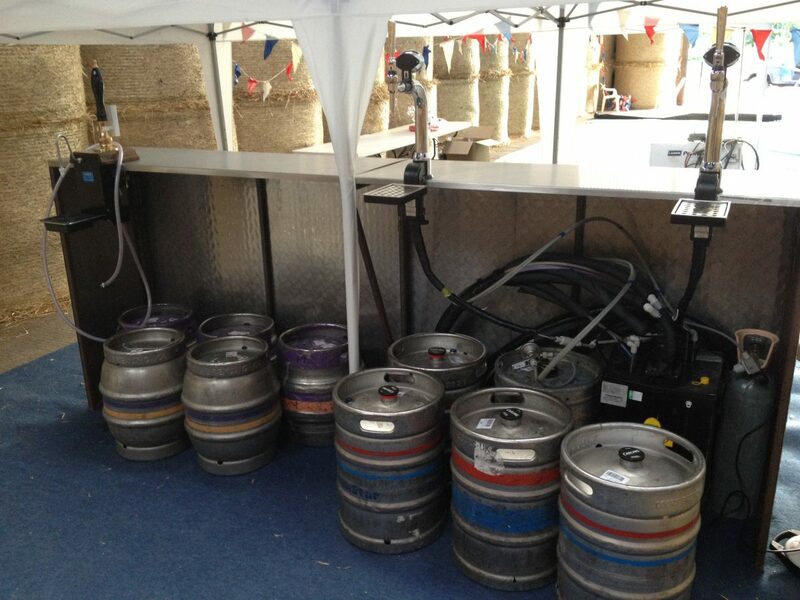 Please note we do not hire out bars for self-service use. 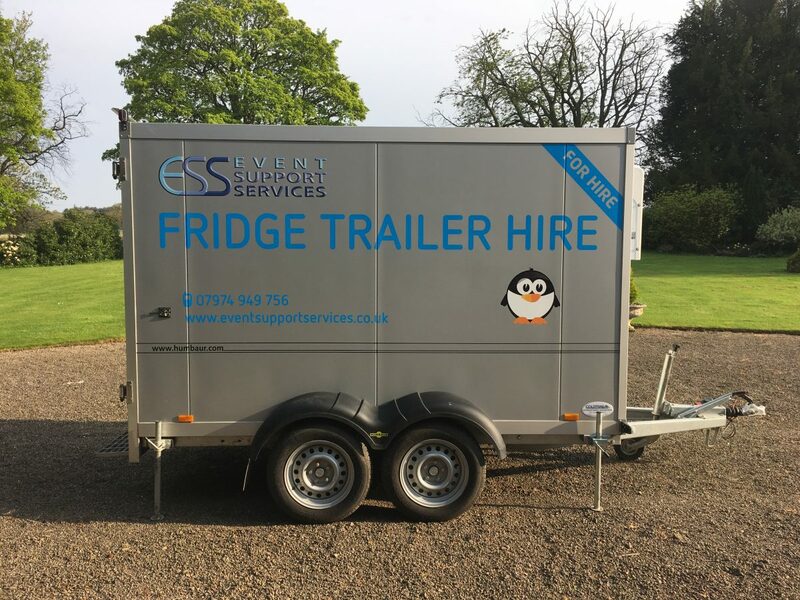 Our fridge trailers provide the perfect accompaniment to any outside bar hire, and are an efficient way to keep all stock cold during your event. 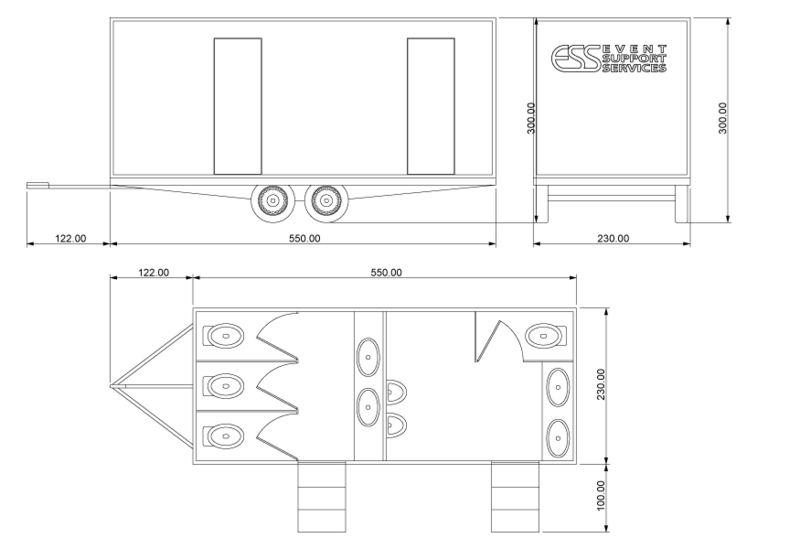 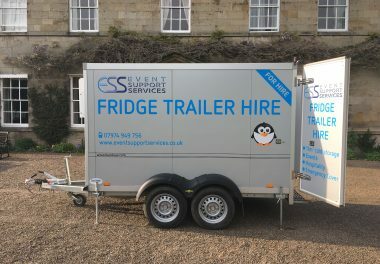 For more information, please visit our fridge trailer hire page, or contact us for further details. 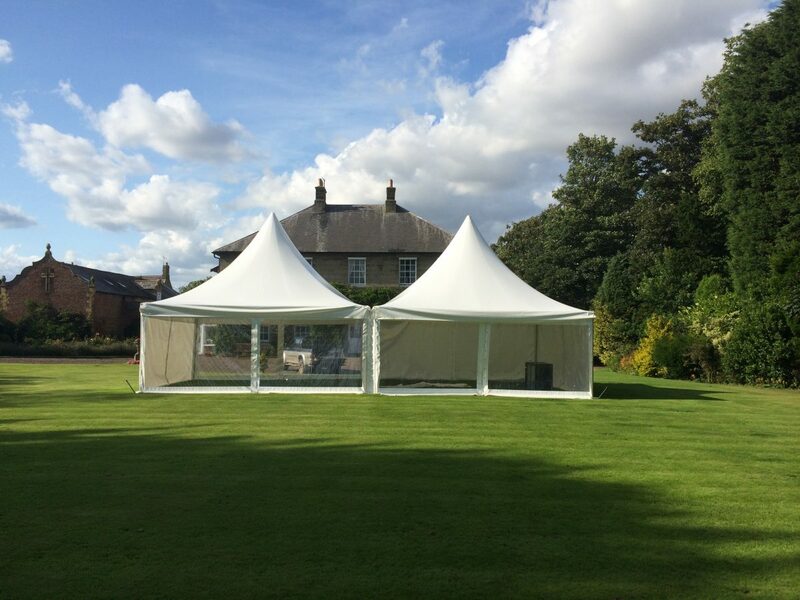 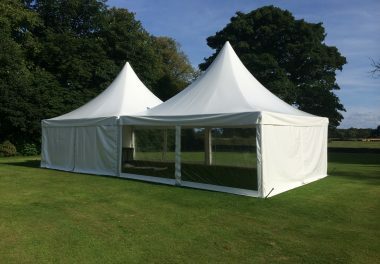 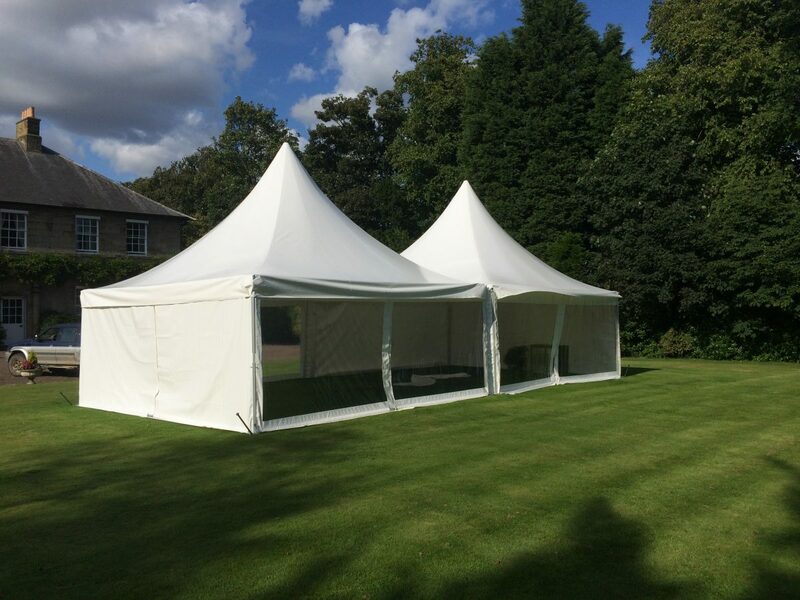 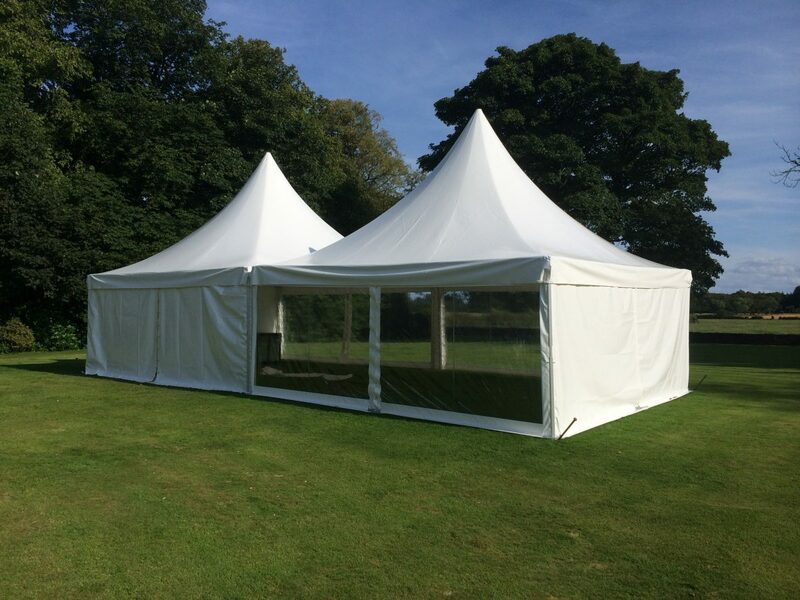 Event Support Services have 2 Pagoda Marquees which measure 6m x m and are perfect for garden parties or as an add-on to larger constructions. 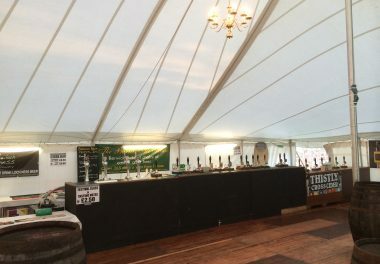 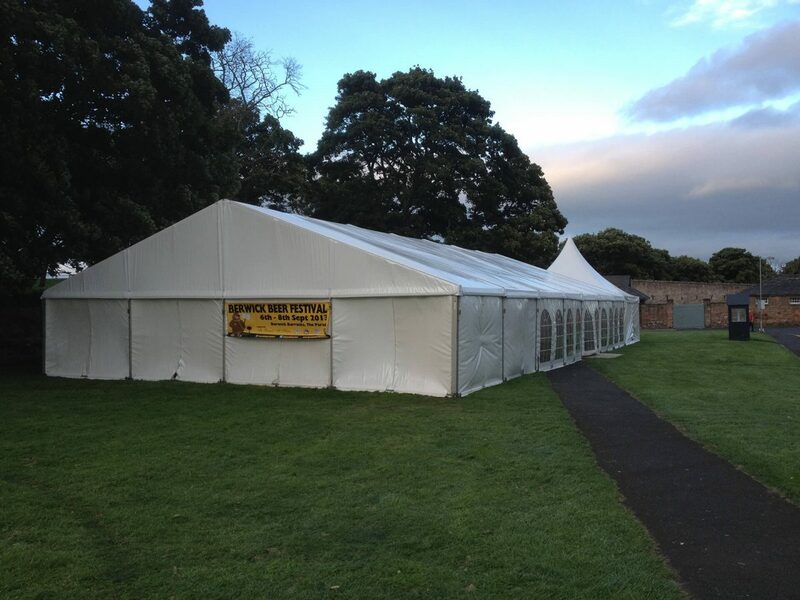 The marquees can be hired separately or can be installed together, with guttering to provide a 6m x 12m space. 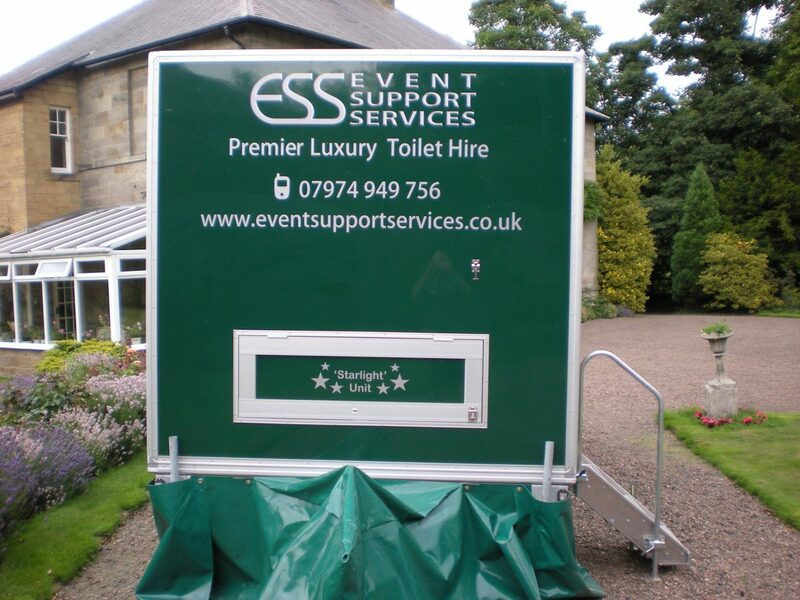 We want to be able to provide as much help and support as we can to make your event go perfectly. 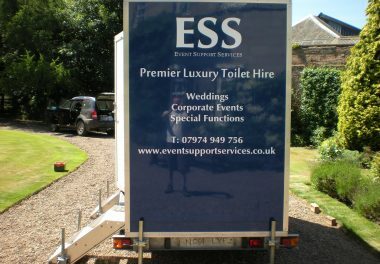 If there’s anything you’ve thought of and you can’t see it on the site, please give us a call. 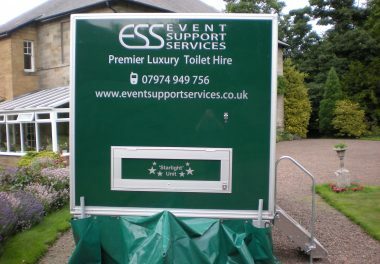 We have many partners and contacts that may just be able to help you. 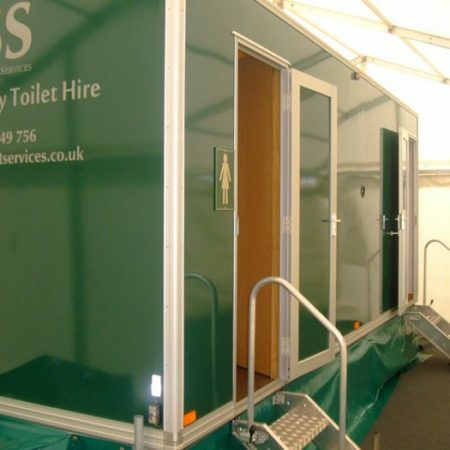 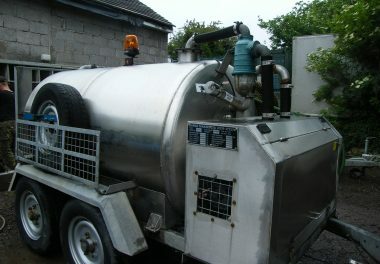 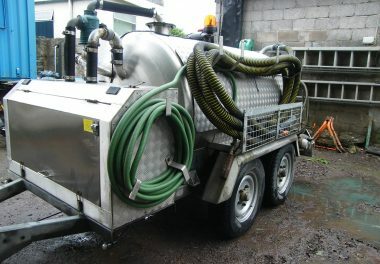 Primarily used for on-site servicing of our own luxury toilet trailers, our towable vacuum tanker can be utilised for events continuing over several days, weeks, or even months. 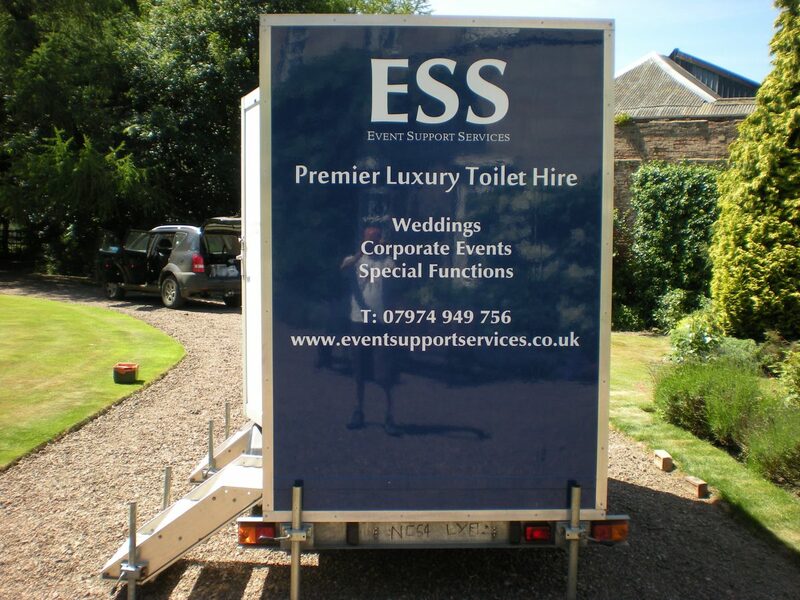 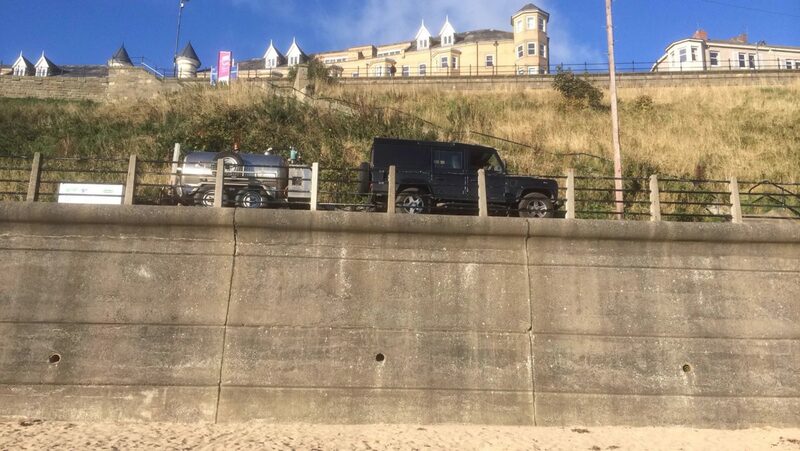 No wider than the towing vehicle itself, it’s able to get into tight spaces to cover even the trickiest of venues. 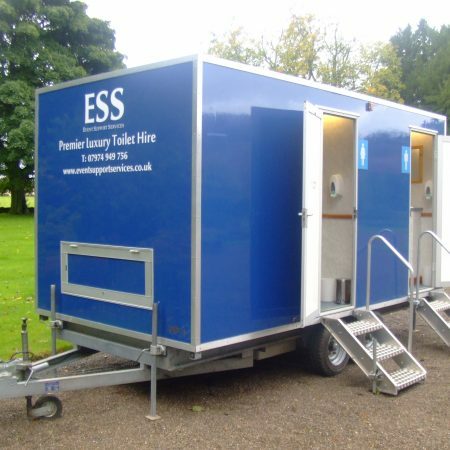 As we’re a small company, you can call us directly, speak to someone straightaway and we can service 24 hours, which is great for any emergency situation. 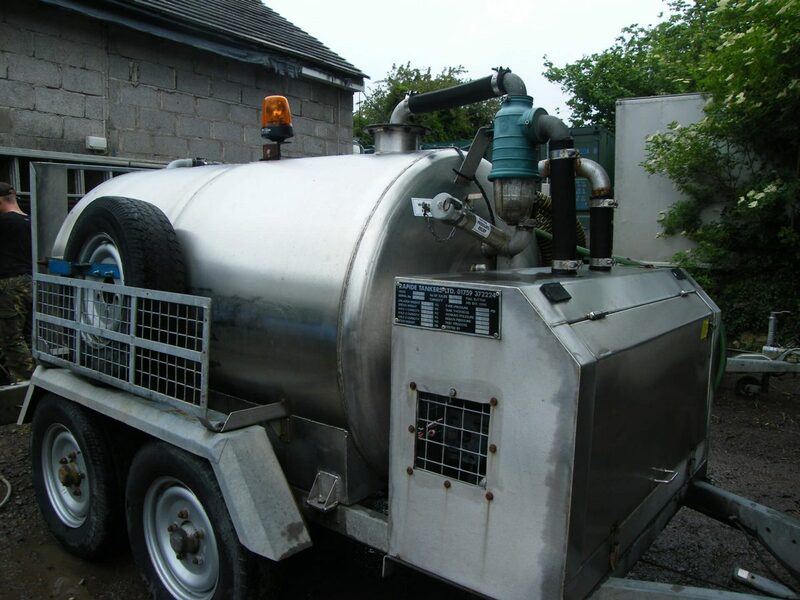 We’re licensed by the environment agency to carry and hold all effluent prior to disposal. 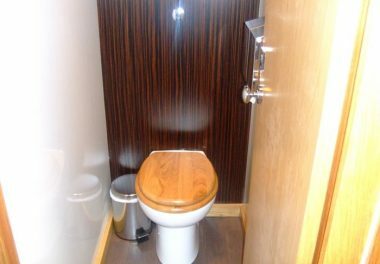 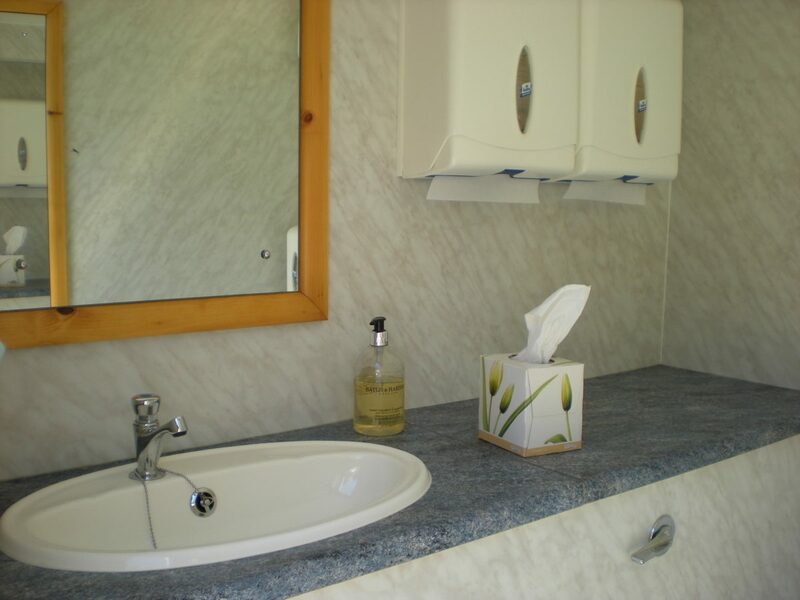 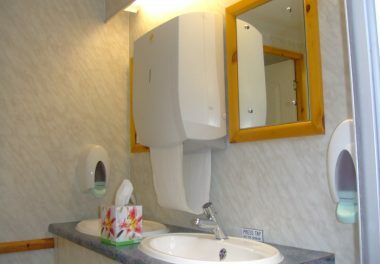 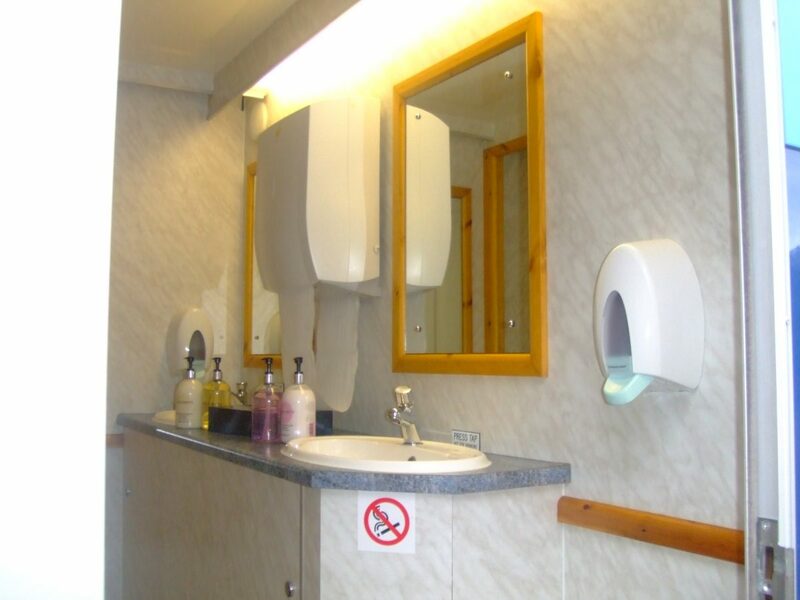 Our services are not merely restricted to servicing our own luxury toilet trailers, as our towable vacuum tanker can also provide servicing of any other mobile toilets, including single plastics. 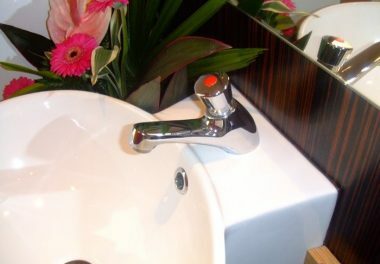 Trade customers are welcome to contact us for further information. 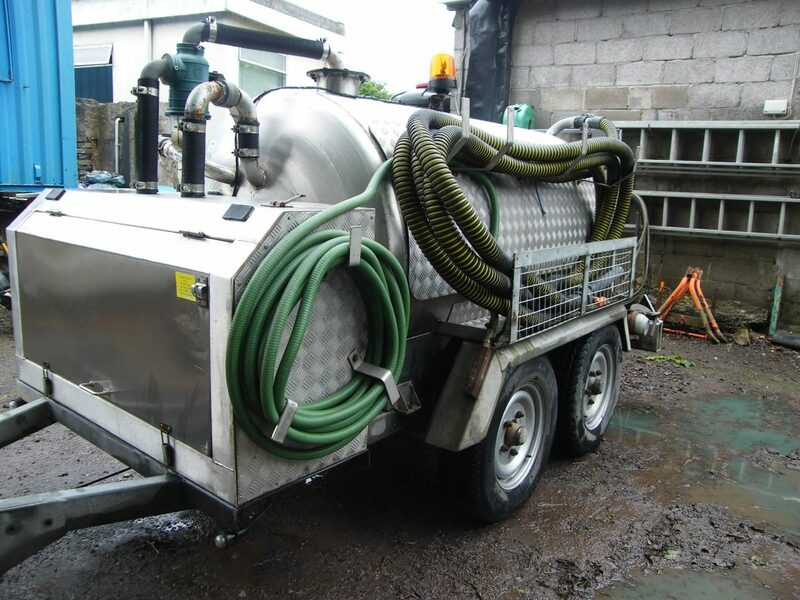 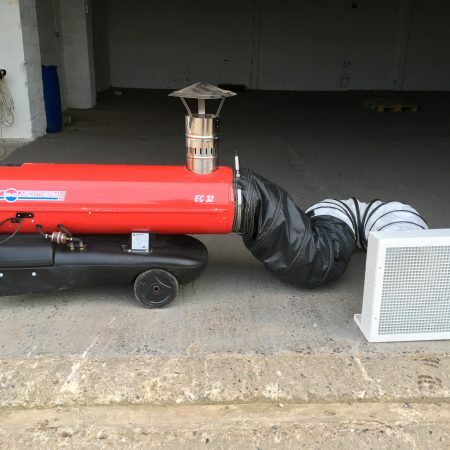 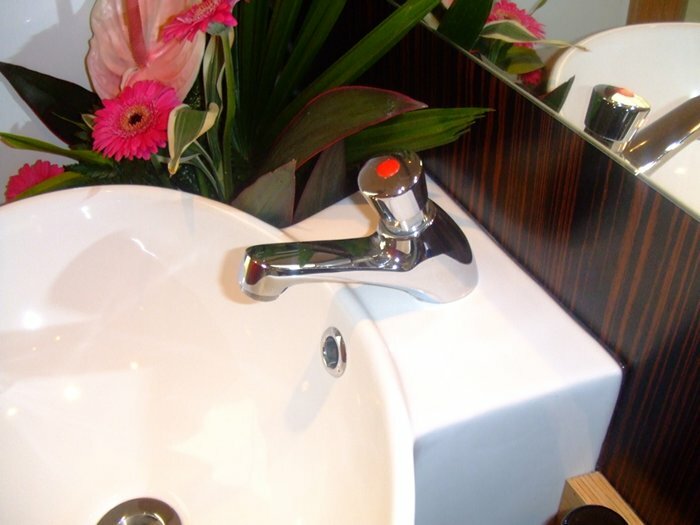 We also undertake interior cleaning and replacement of disposable products, and are happy to provide a quote for any effluent removal job, large or small. 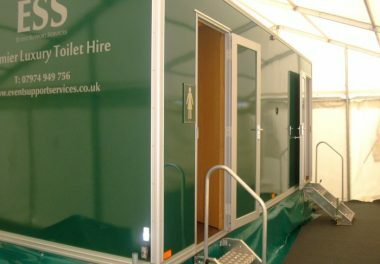 Where large numbers of units are required to be serviced on site at your event, we can arrange cross-hire of larger tankers locally to facilitate your specific needs. 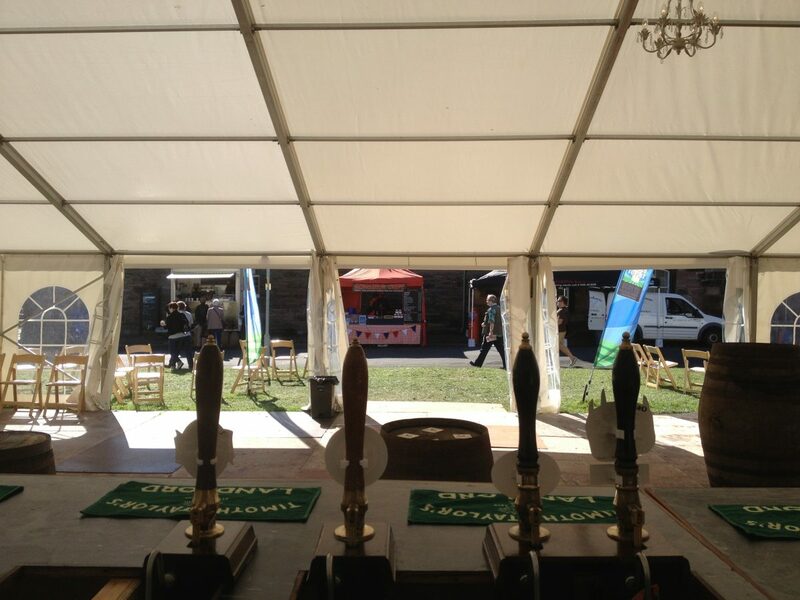 Sometimes we’re just not able to rely on the british weather to keep the summer chill away. 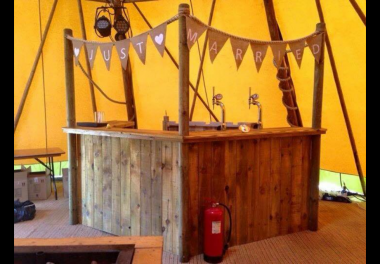 We’re able to supply gas fired heaters that ensure you and your guests stay nice and warm all day. 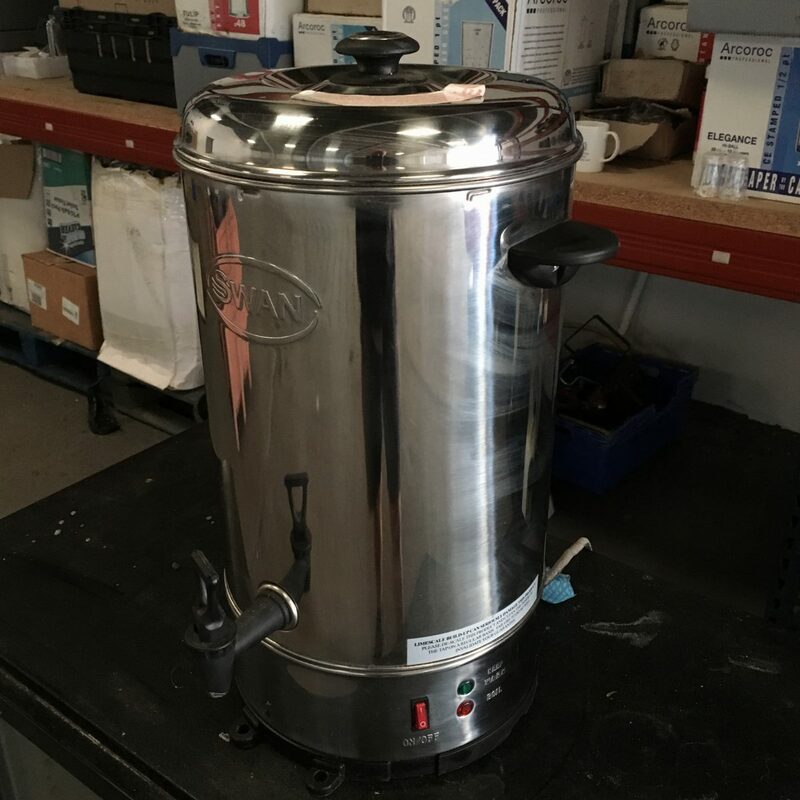 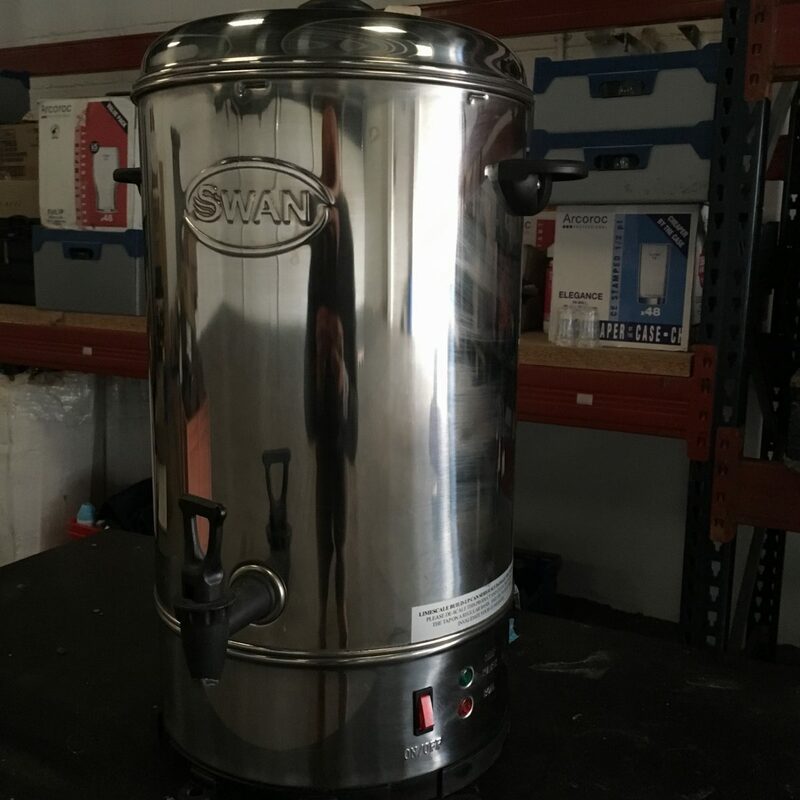 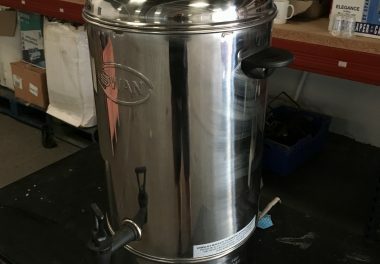 When you need that extra supply of hot water to help out the caterers or to give your guests a warm cuppa, our water urns can plug into your electrical supply to provide an endless supply. 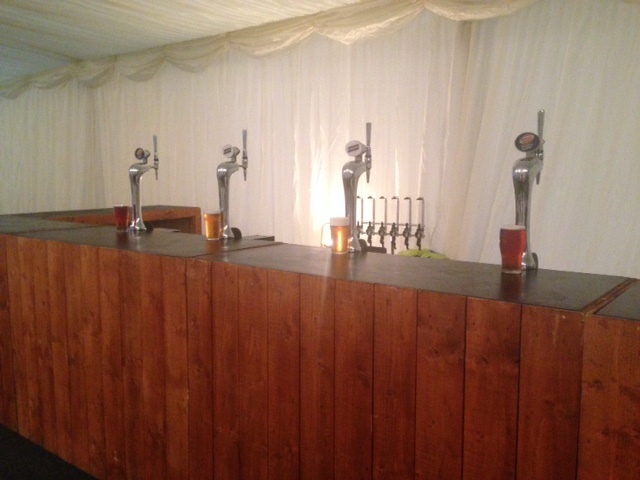 The Jager machine is the perfect accessory for any party, getting the revellers in full swing! 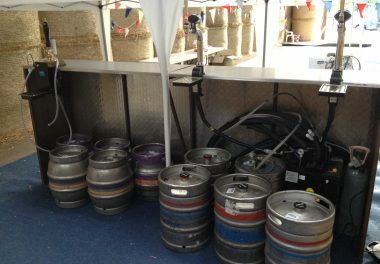 We supply the machine, the shot glasses and the Jagermeister! 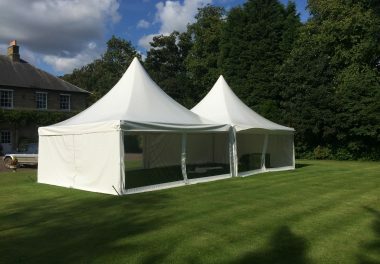 Get in touch for more details. 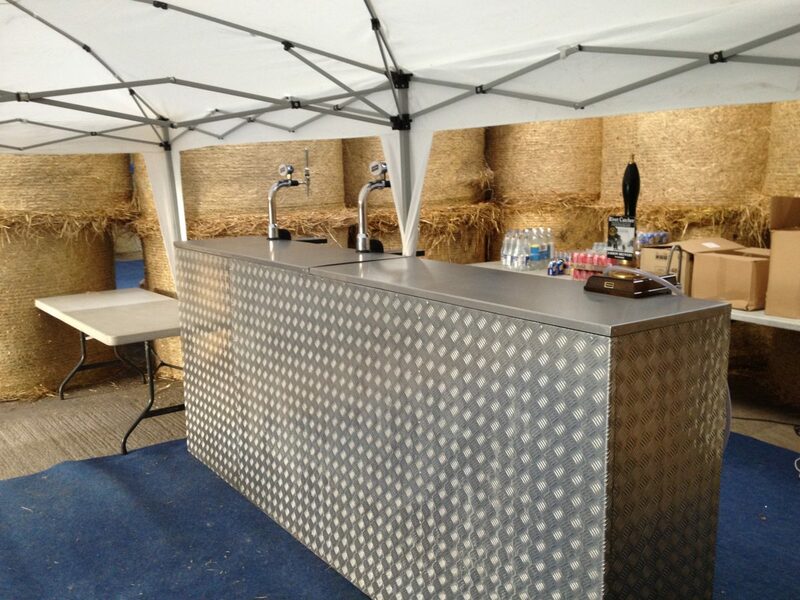 A handy drinks cooler, that can sit neatly behind or under a bar. 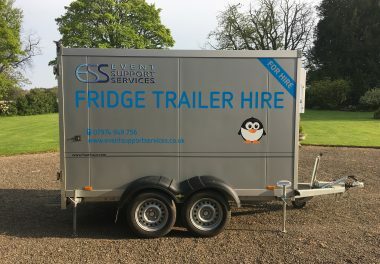 Great to have in addition to a fridge trailer, to have everything to hand.